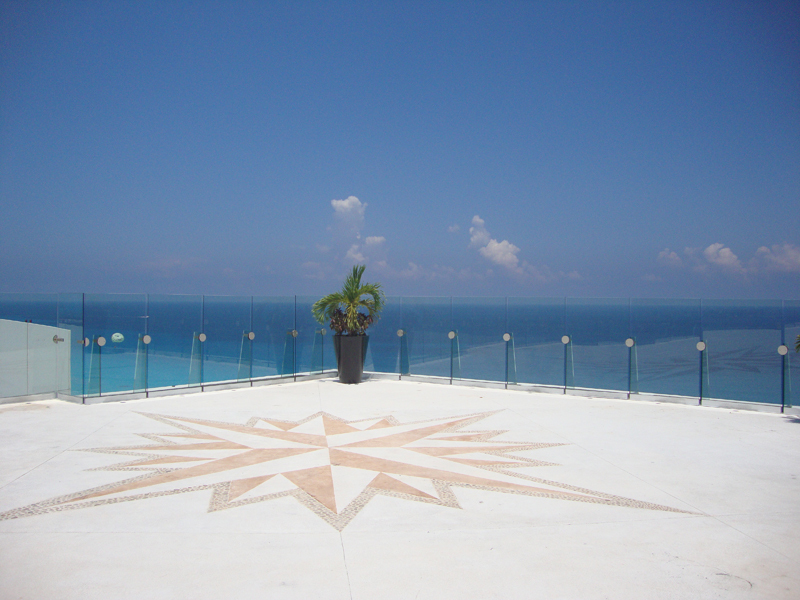 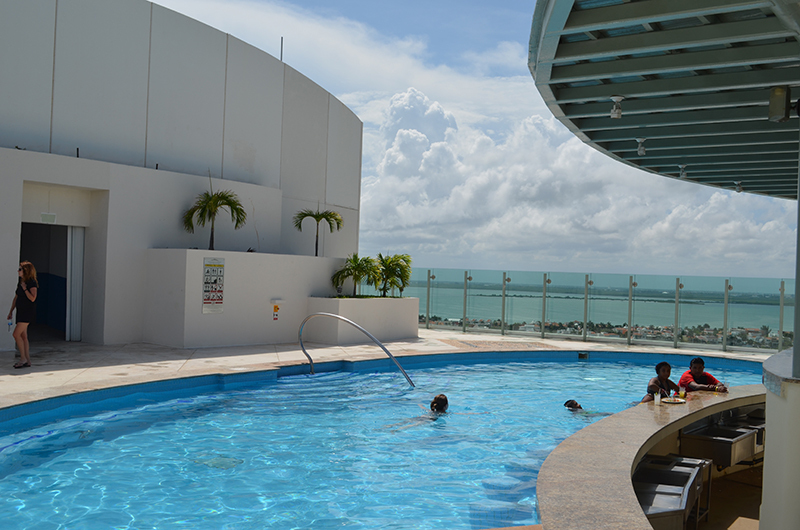 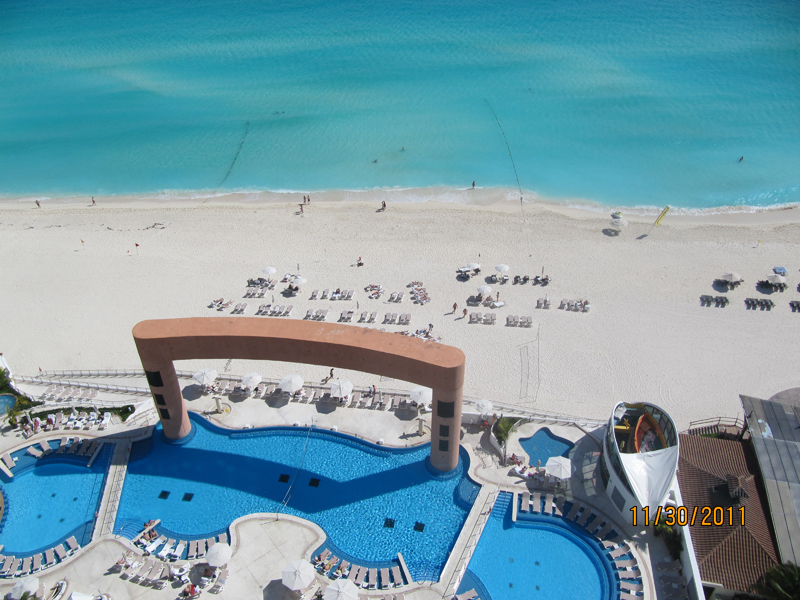 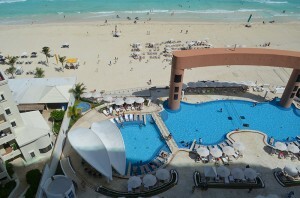 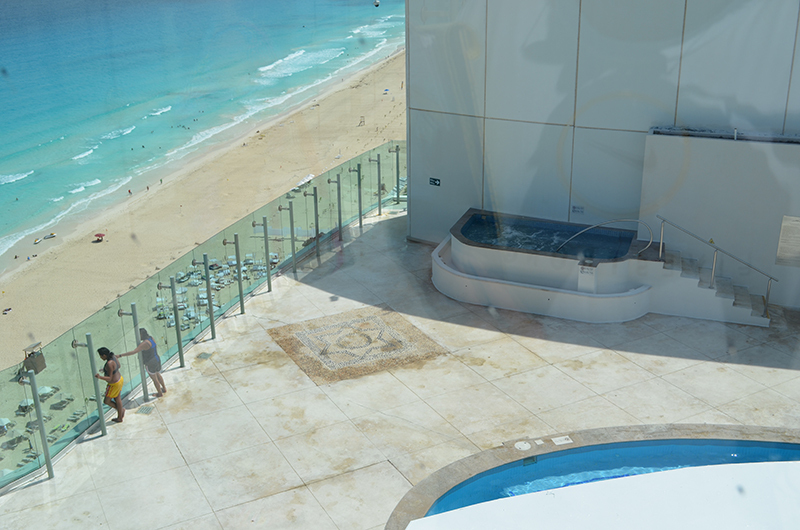 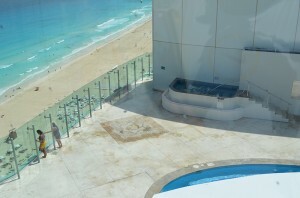 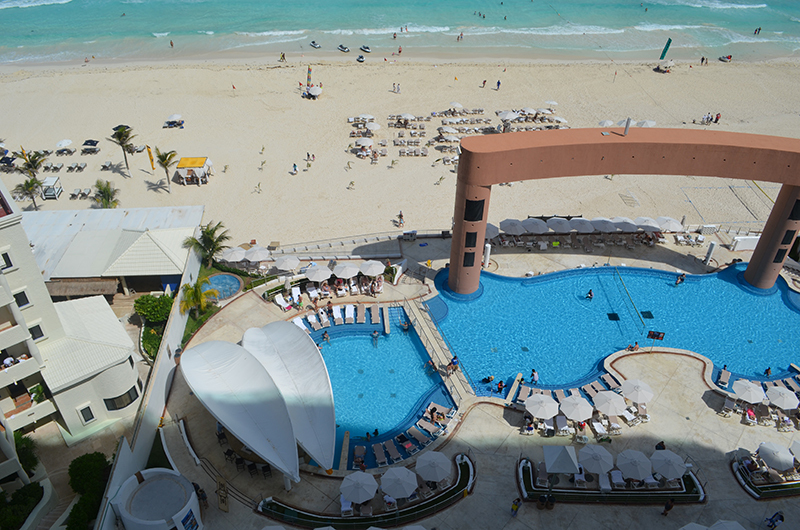 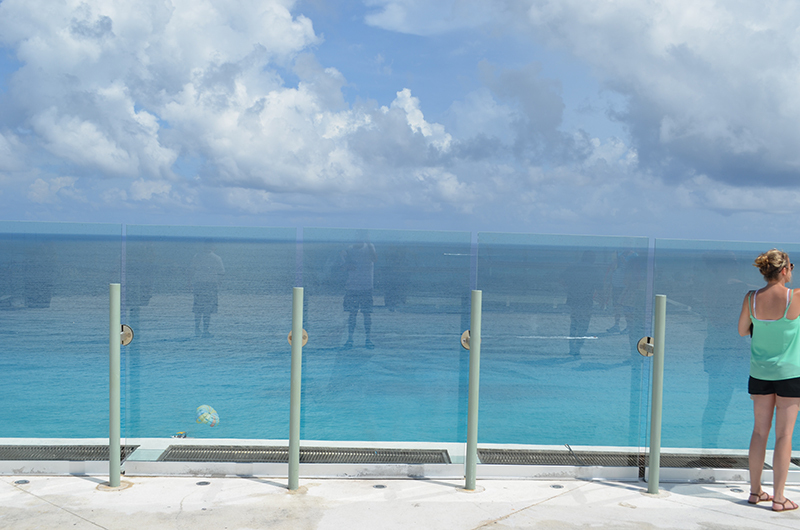 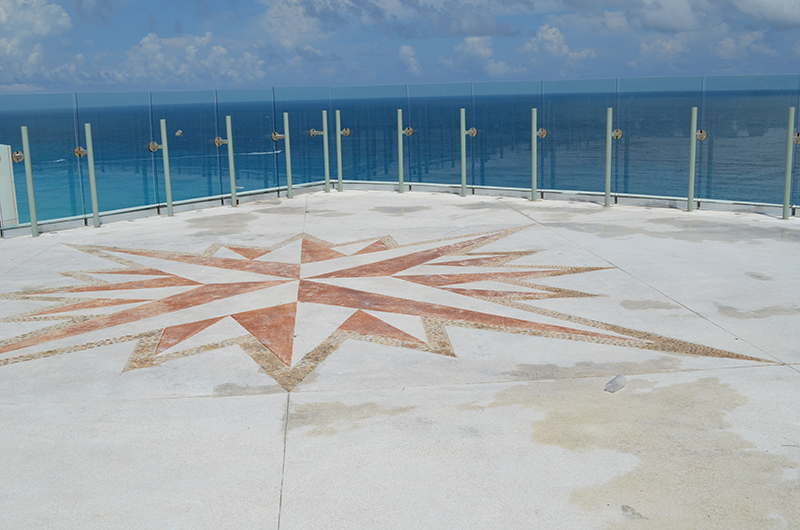 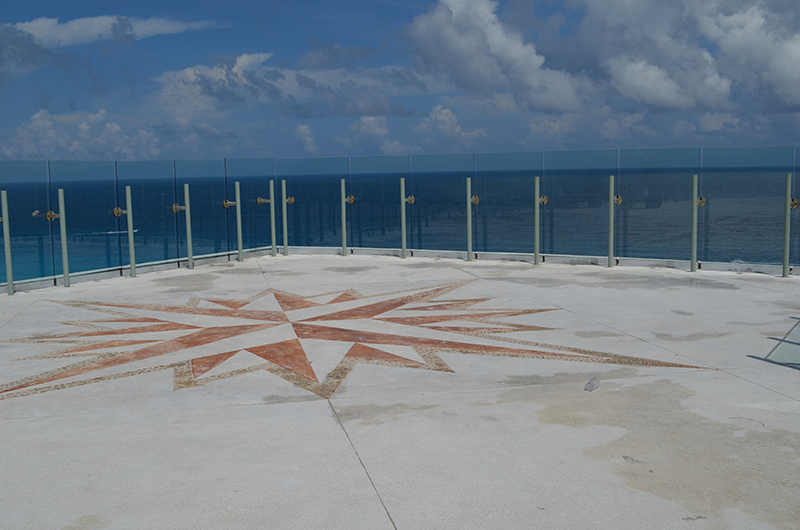 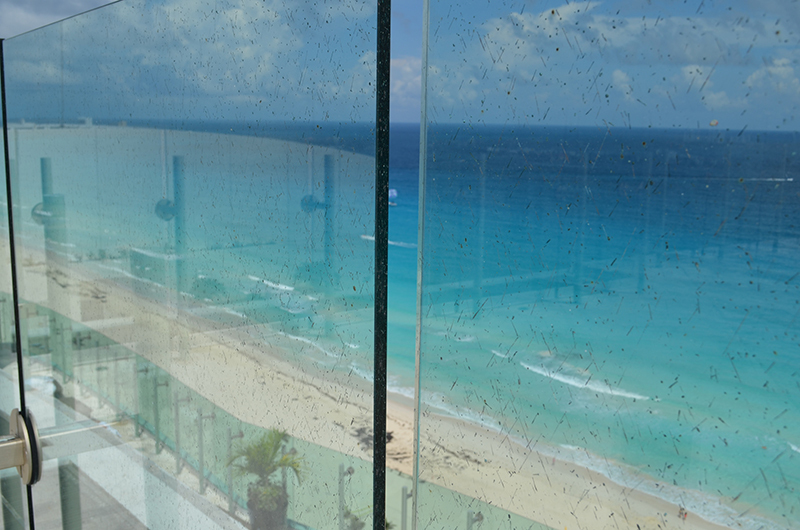 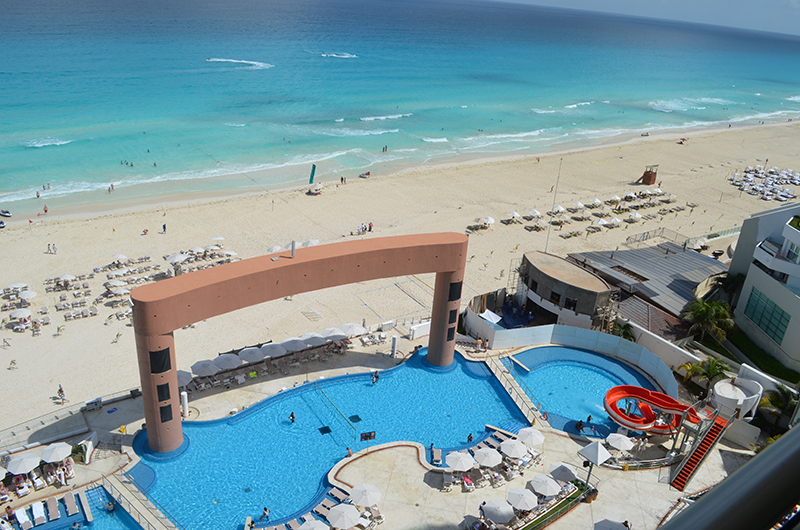 The sleek all-inclusive Beach Palace Cancun is ideally designed for all ages. 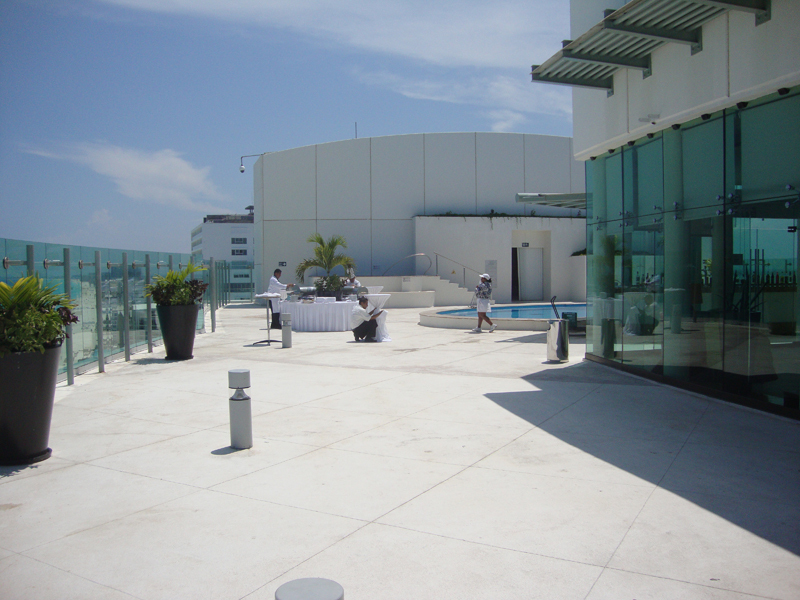 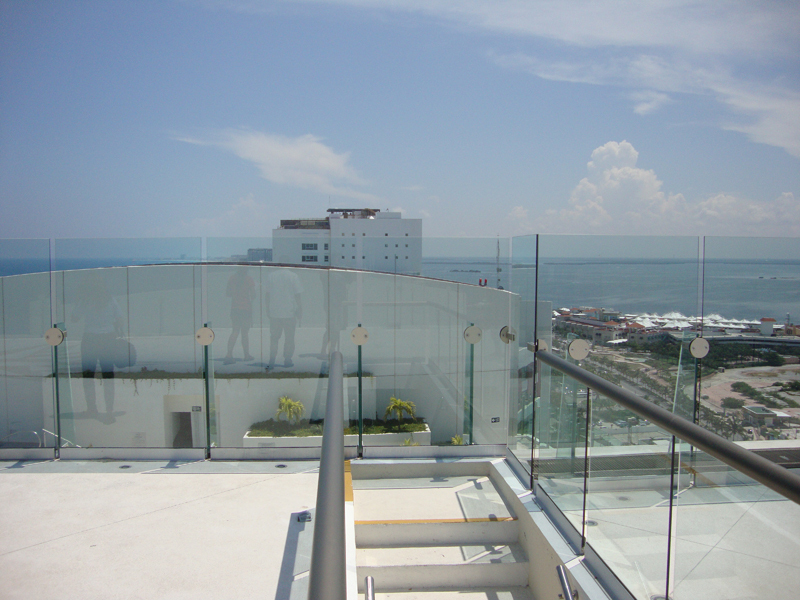 Its fresh ultra-modern architectural design features elegant accommodations overlooking the Nichupte Lagoon and the Caribbean Sea. 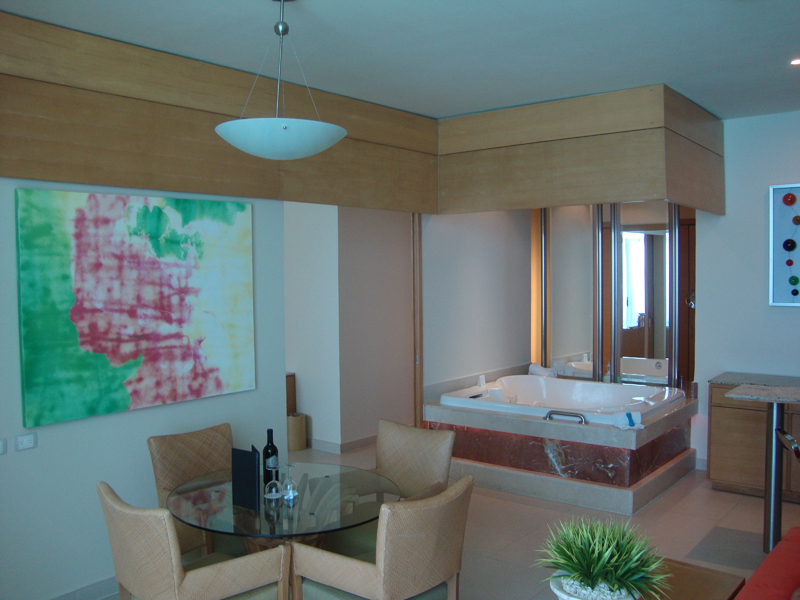 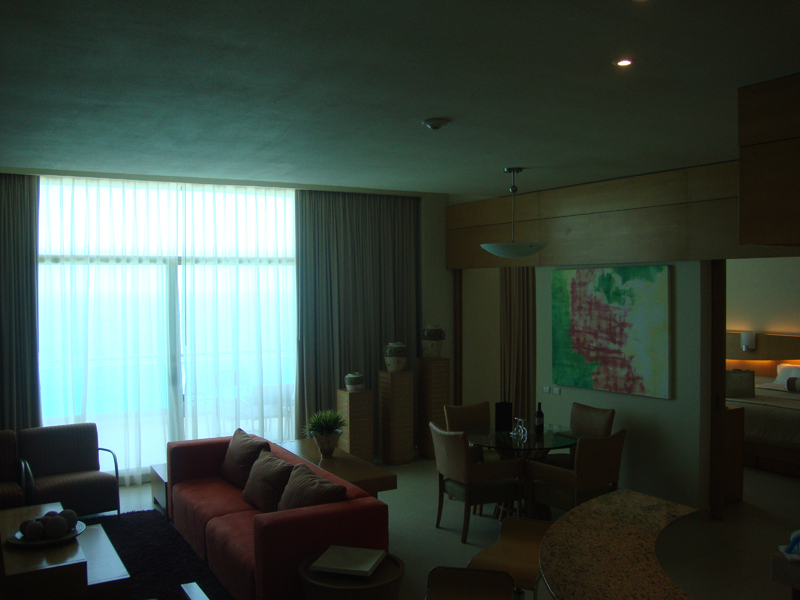 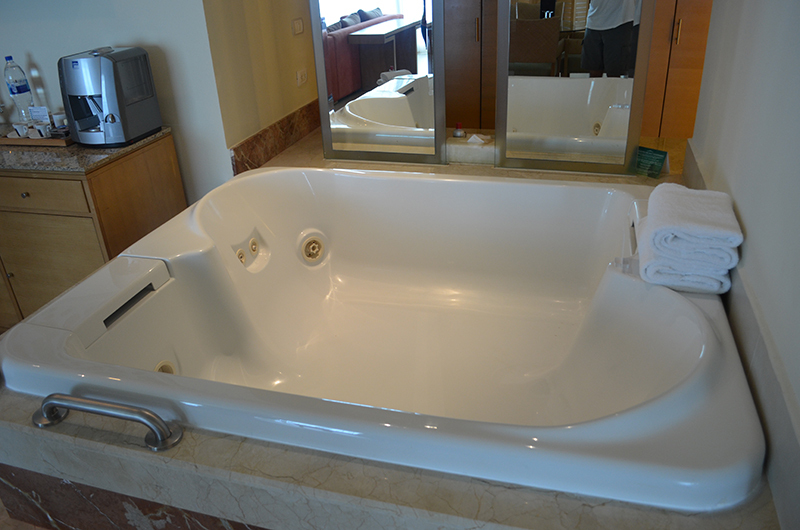 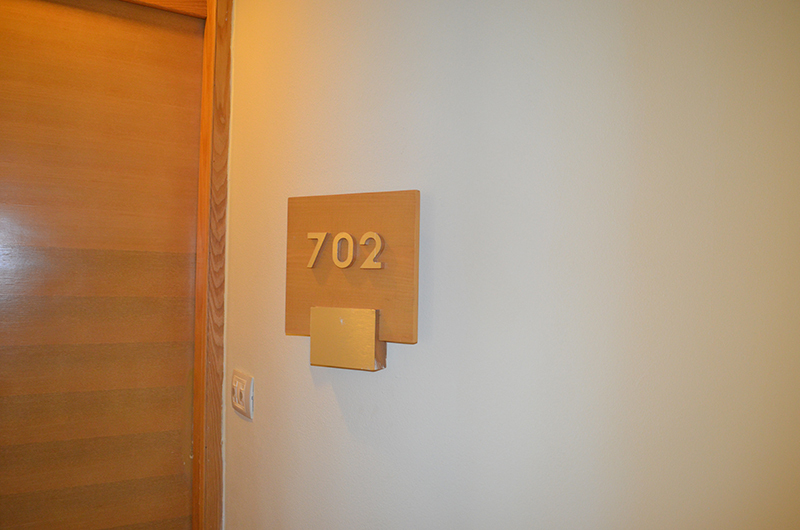 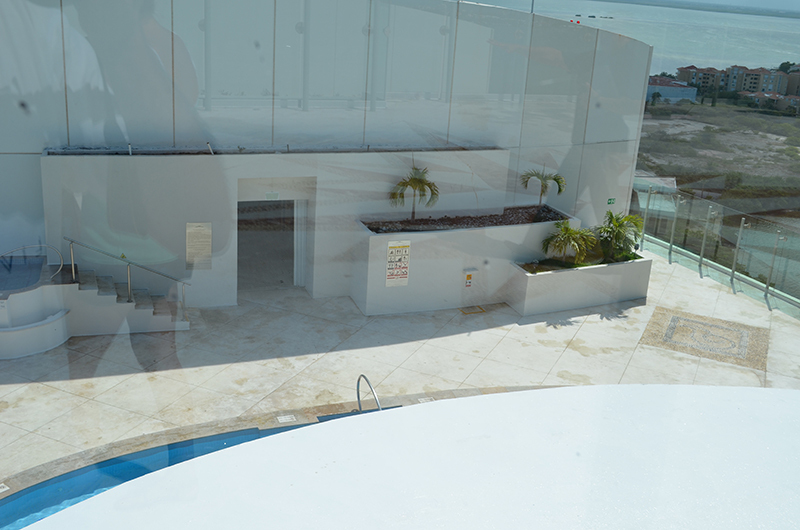 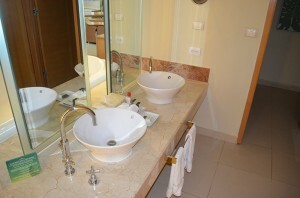 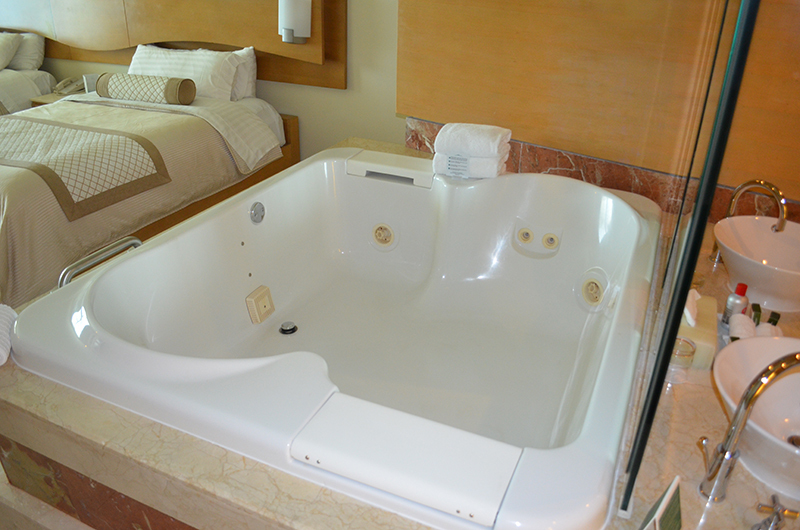 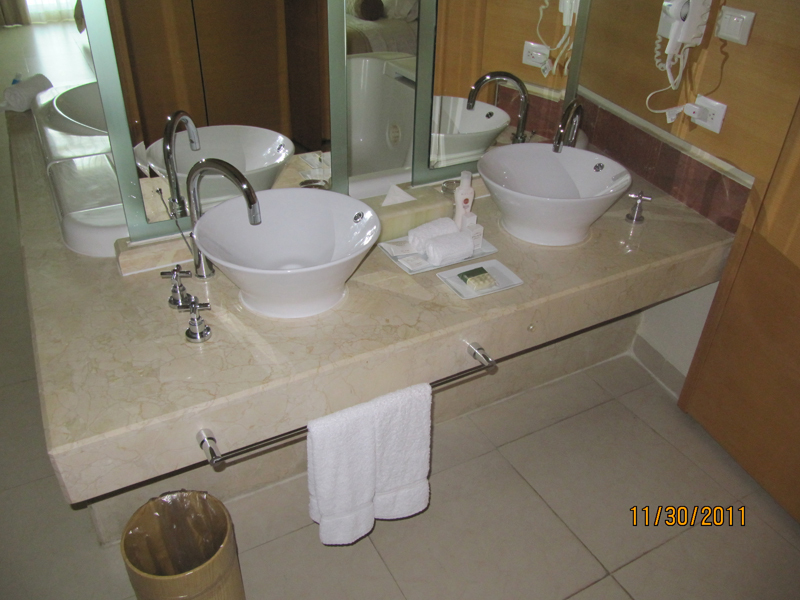 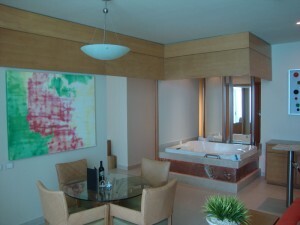 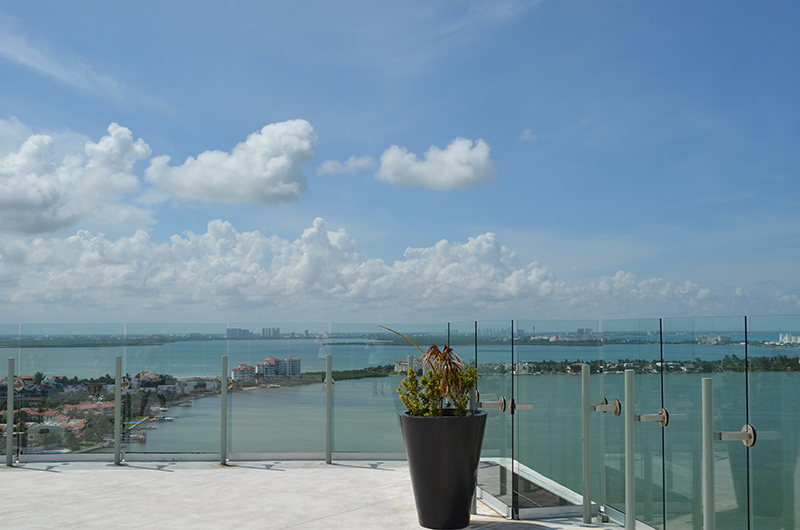 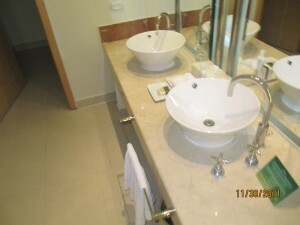 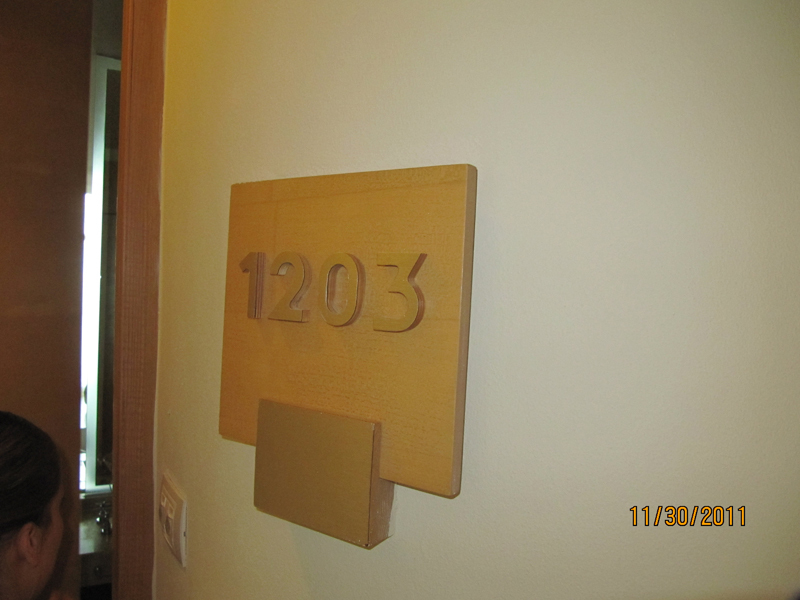 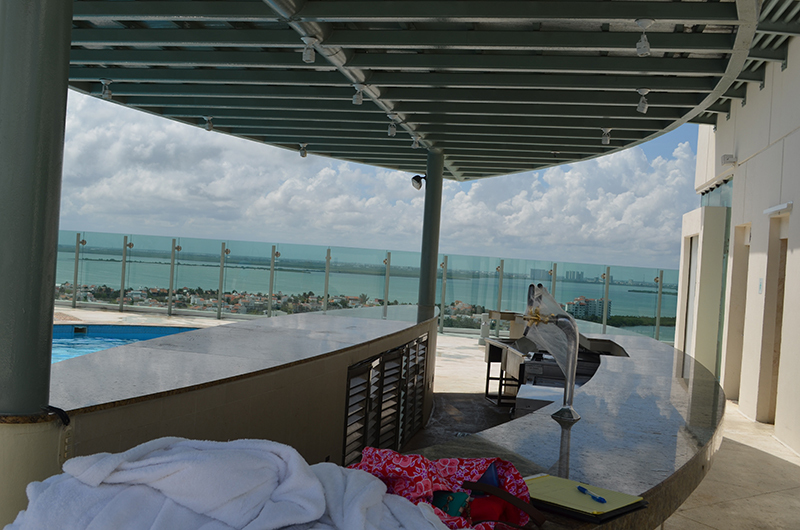 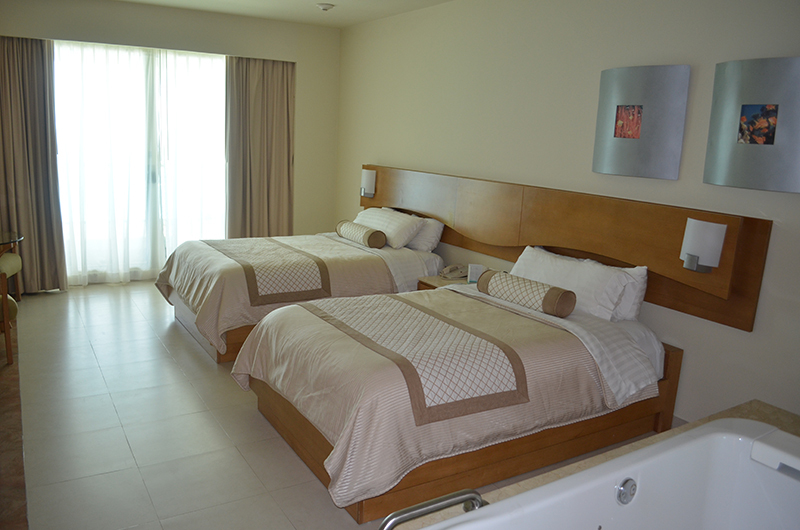 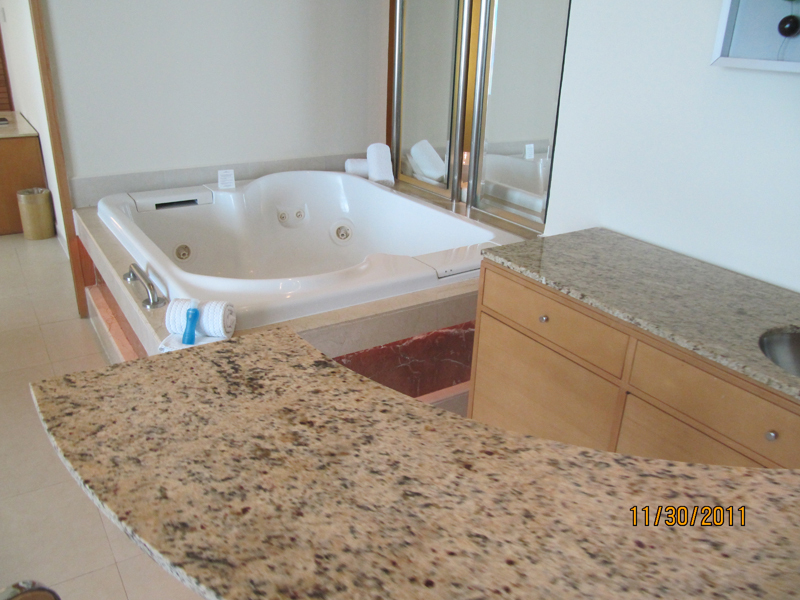 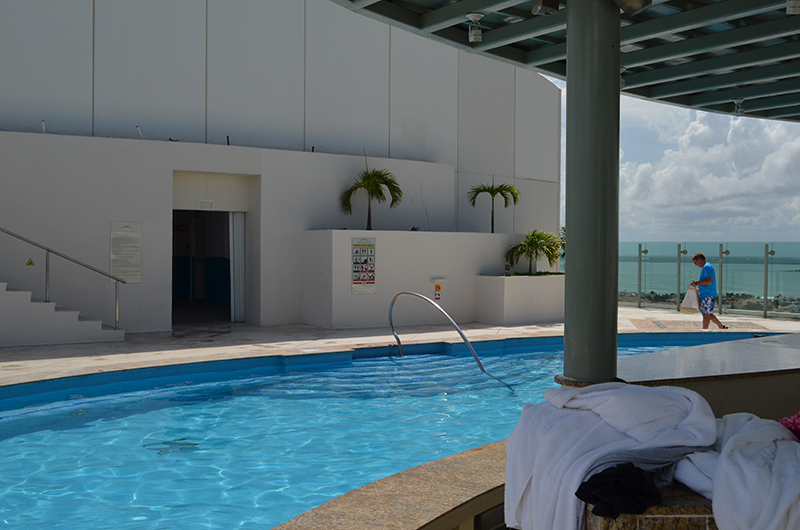 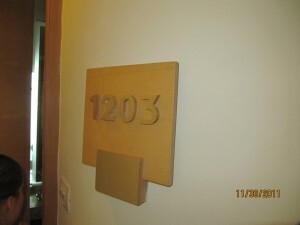 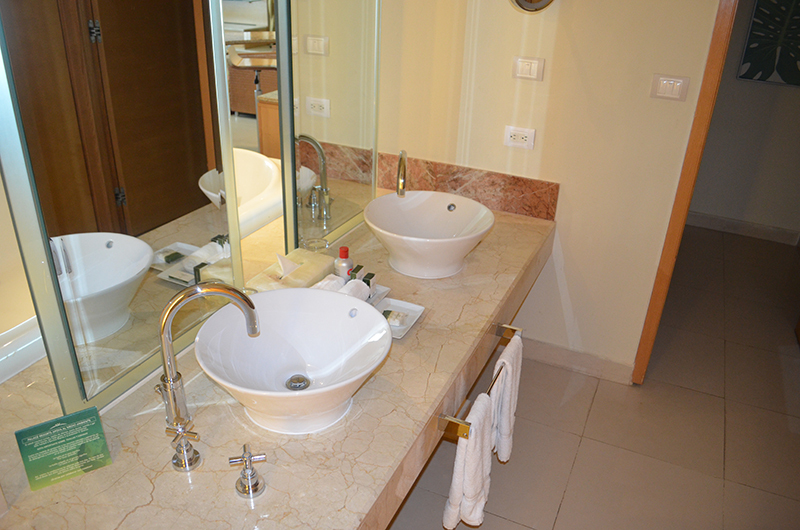 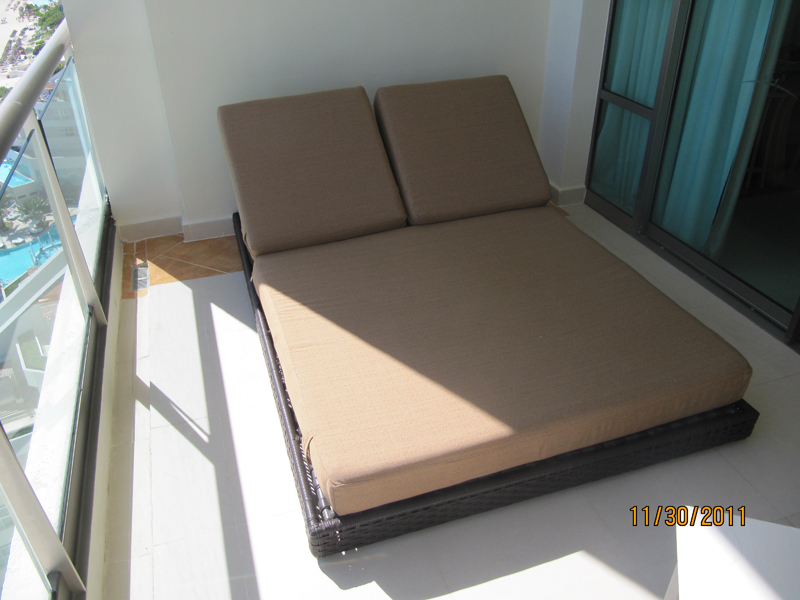 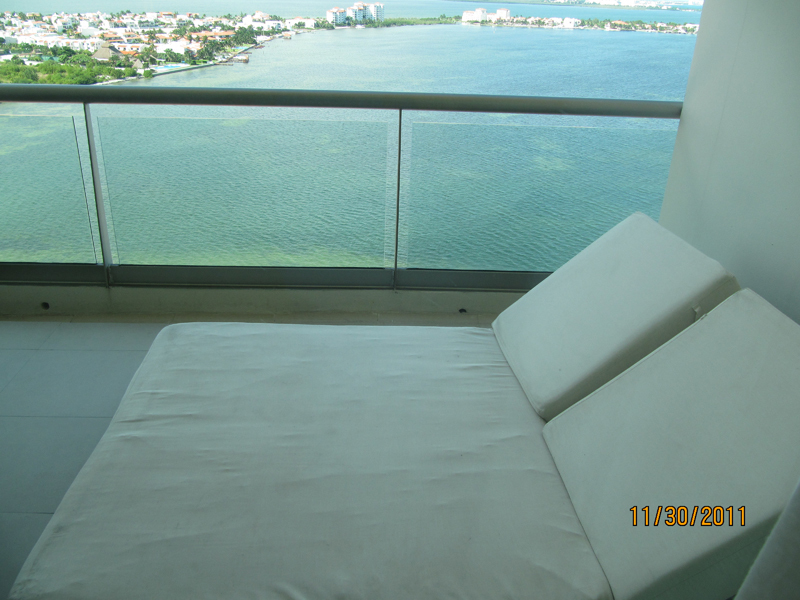 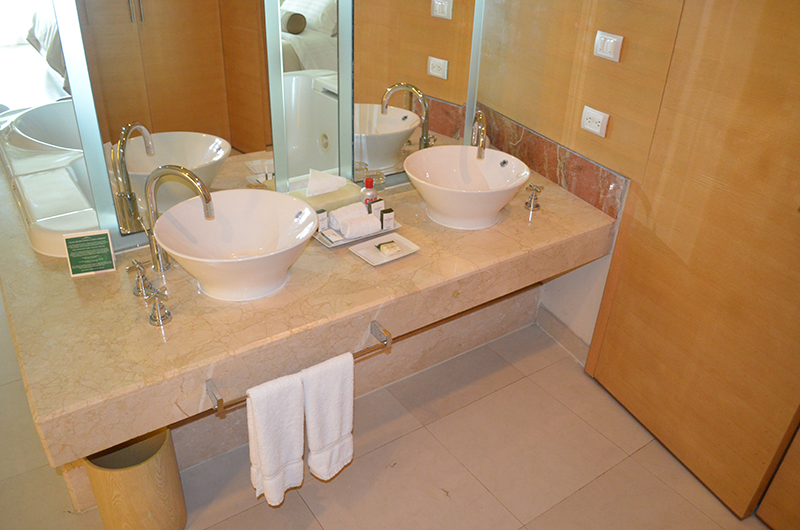 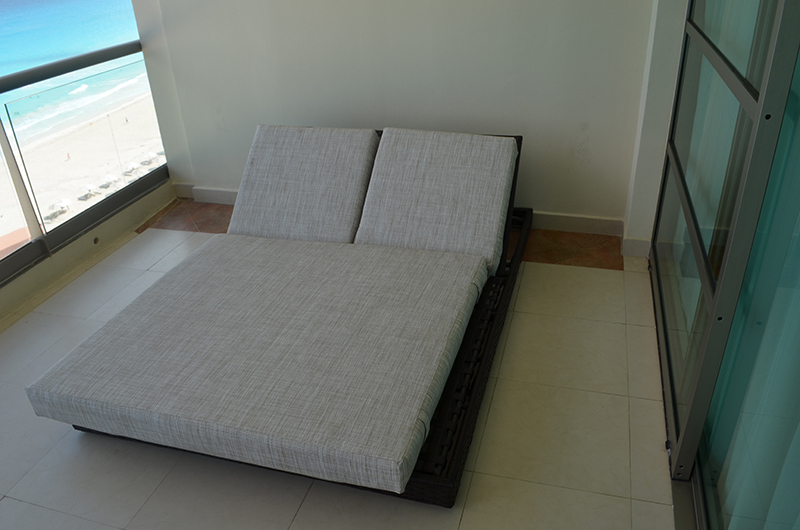 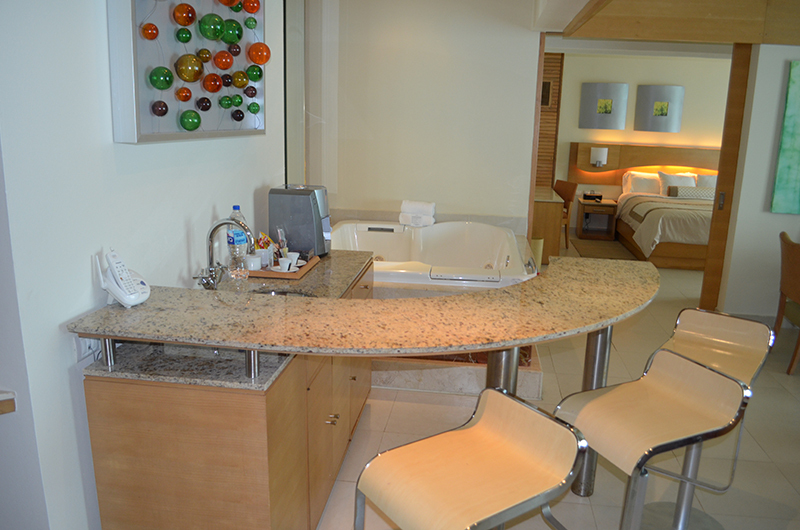 Each stylish room features a double Jacuzzi and a private balcony with spectacular water views. 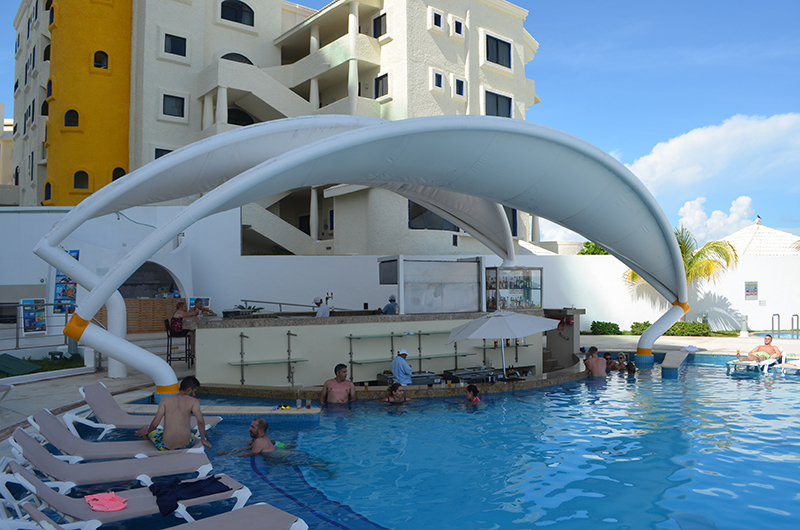 Everyone will love the three incredible pool areas, the intimate laid-back atmosphere, the convenient location to shopping and nightlife and the wide variety of nearby land and water activities. 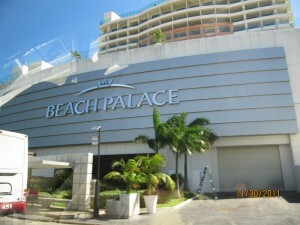 The Beach Palace, located in Cancun's hotel zone, features 287 luxurious accommodations - each with a double Jacuzzi, balcony, first class amenities and 24-hour room service. 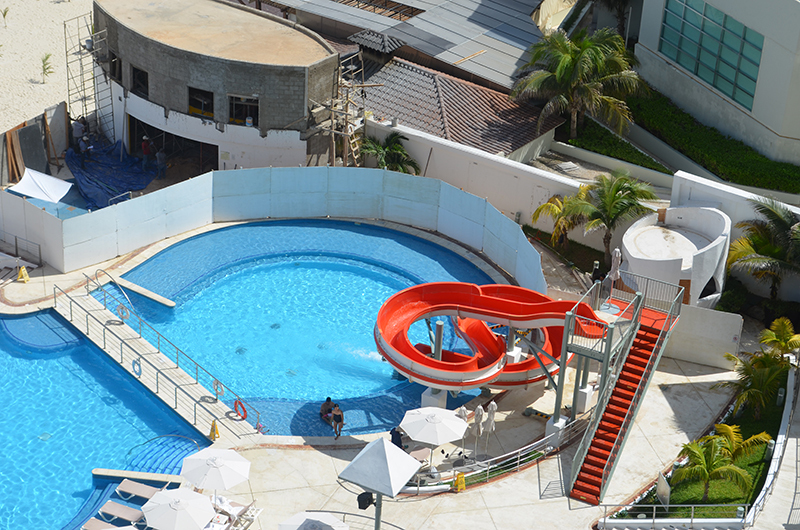 Adults enjoy two rooftop pools with bar service, while the little ones are entertained at the kid's club featuring fun games, water activities and its own kiddie pool. 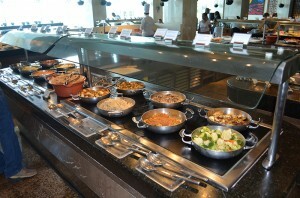 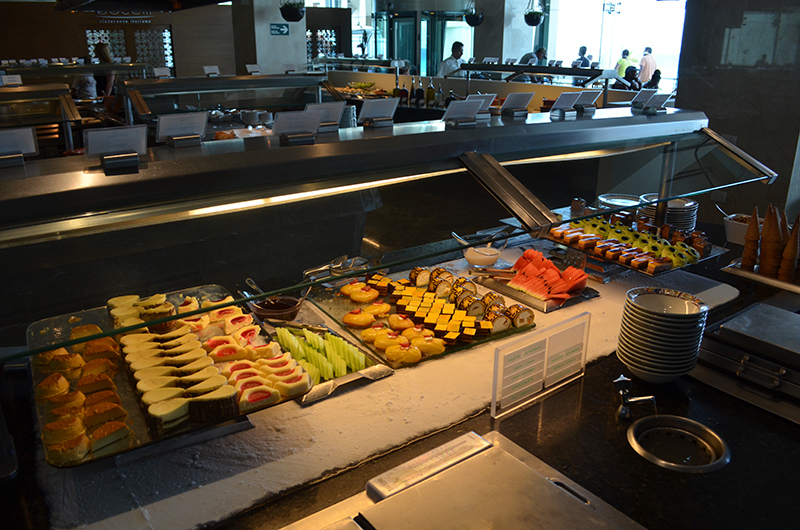 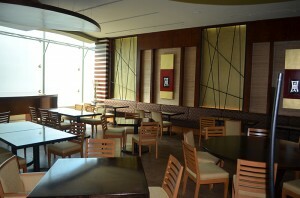 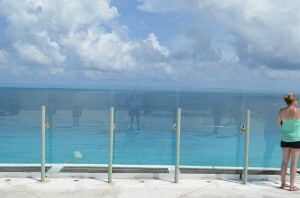 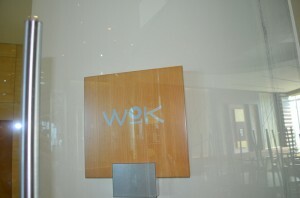 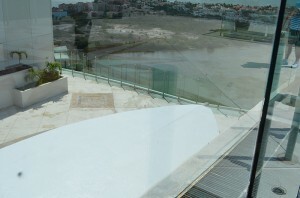 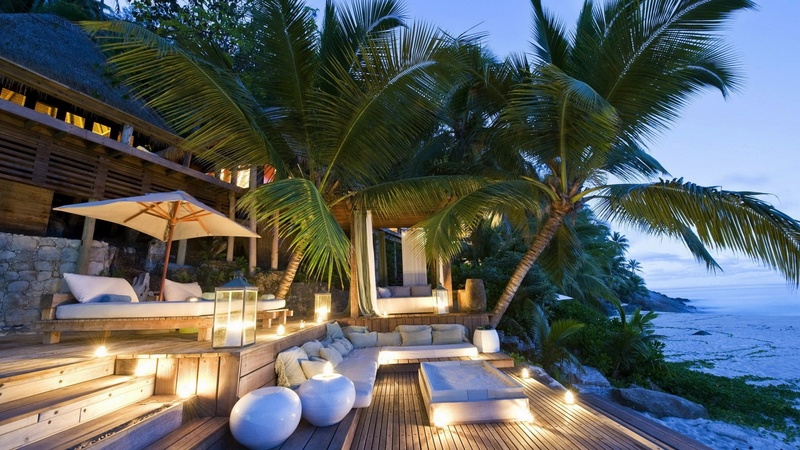 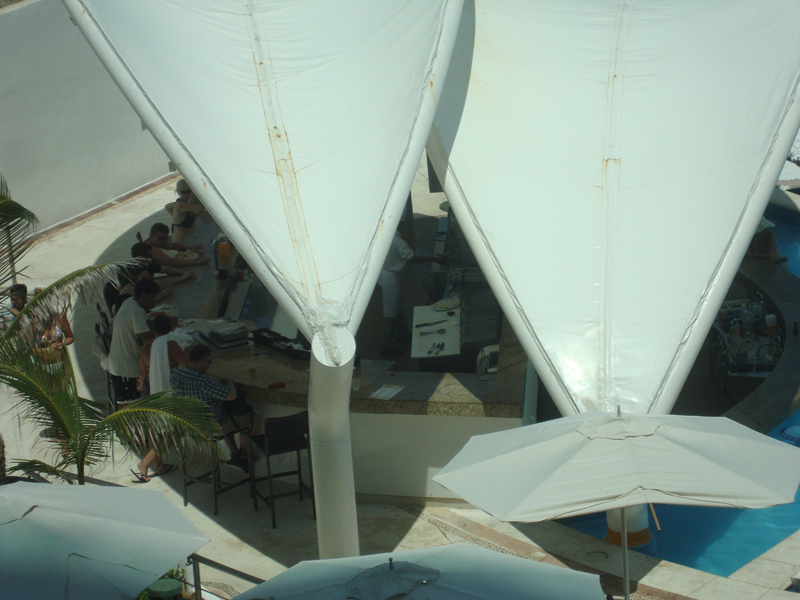 In addition, enjoy a pool with swim-up bar, a spectacular beach and fine dining at four distinct restaurants and bars. 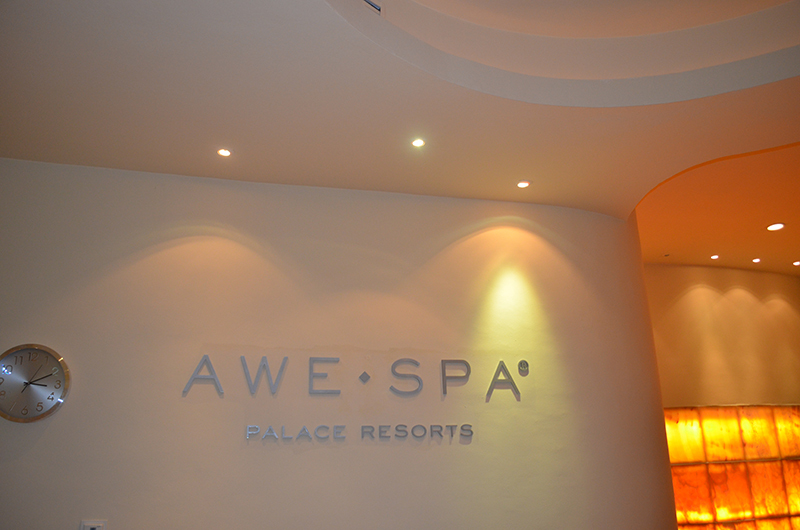 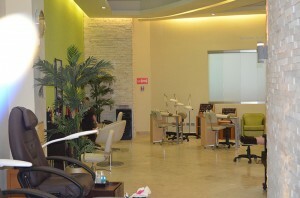 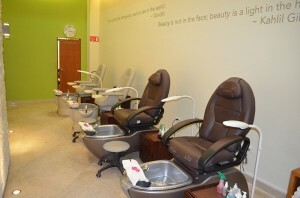 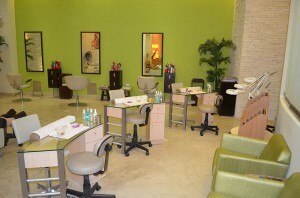 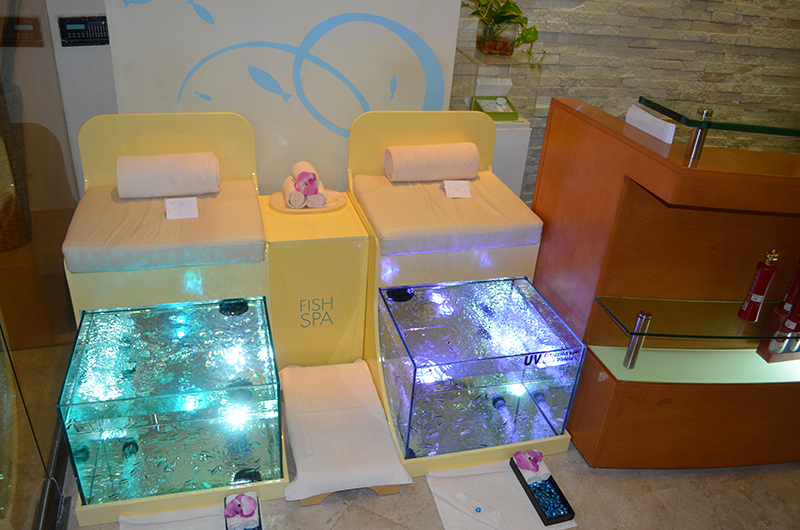 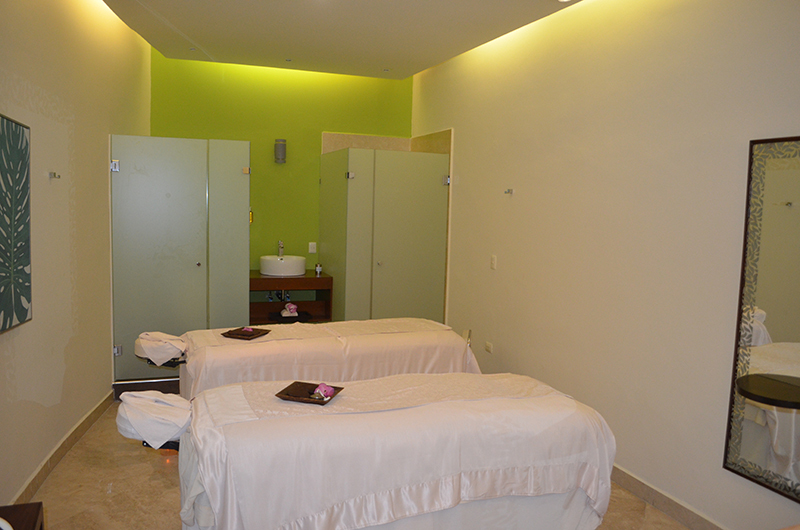 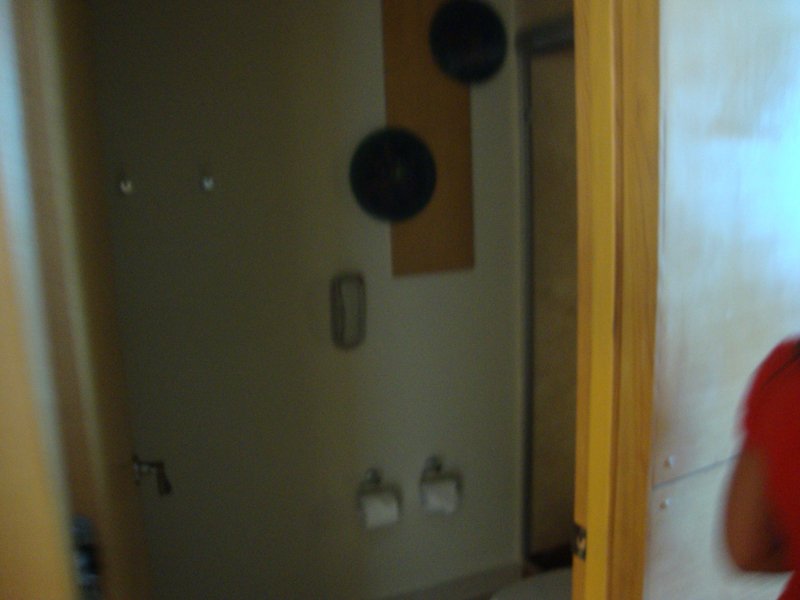 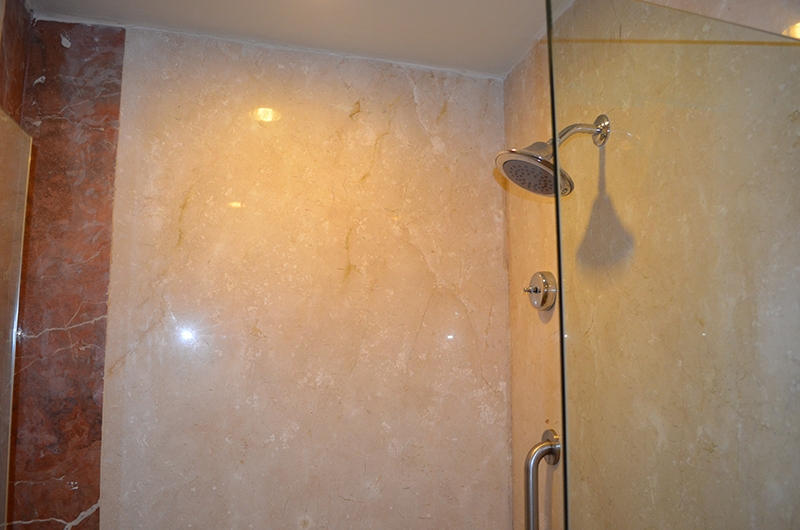 For those looking for a pampering experience, this property features a modern spa. 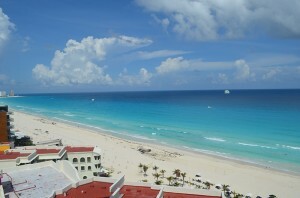 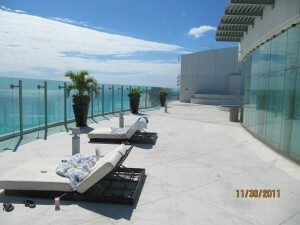 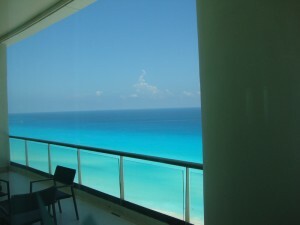 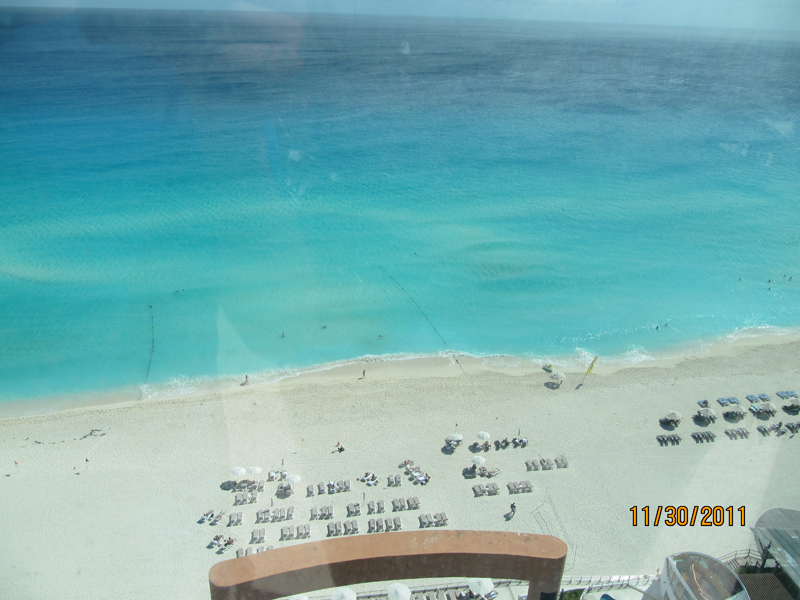 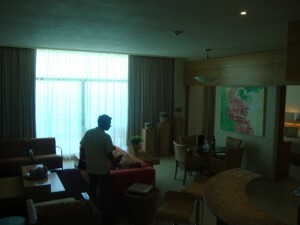 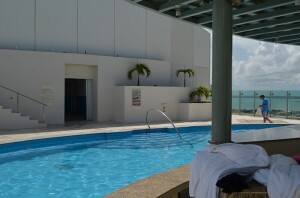 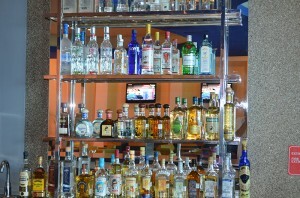 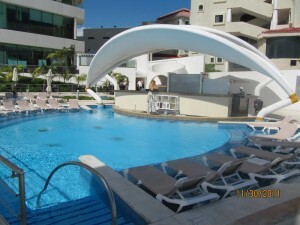 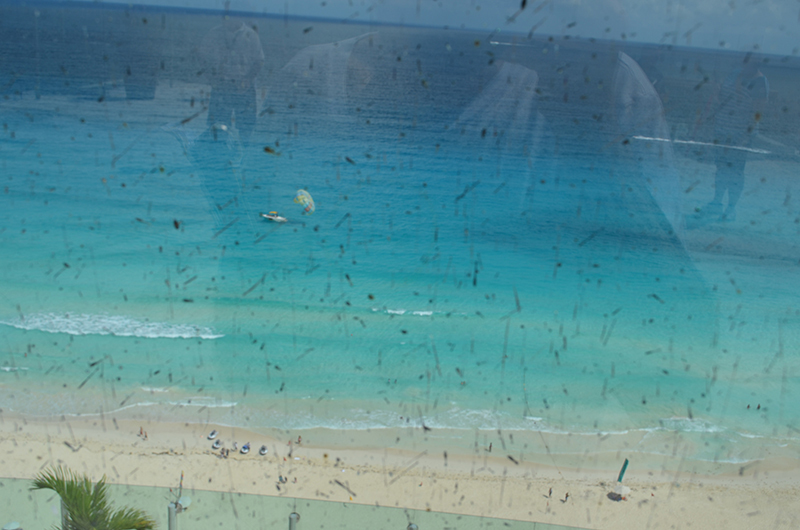 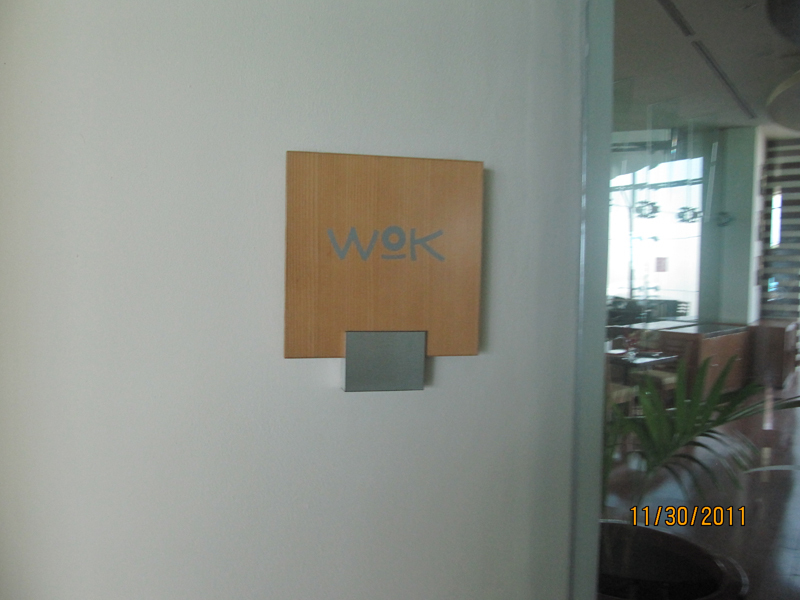 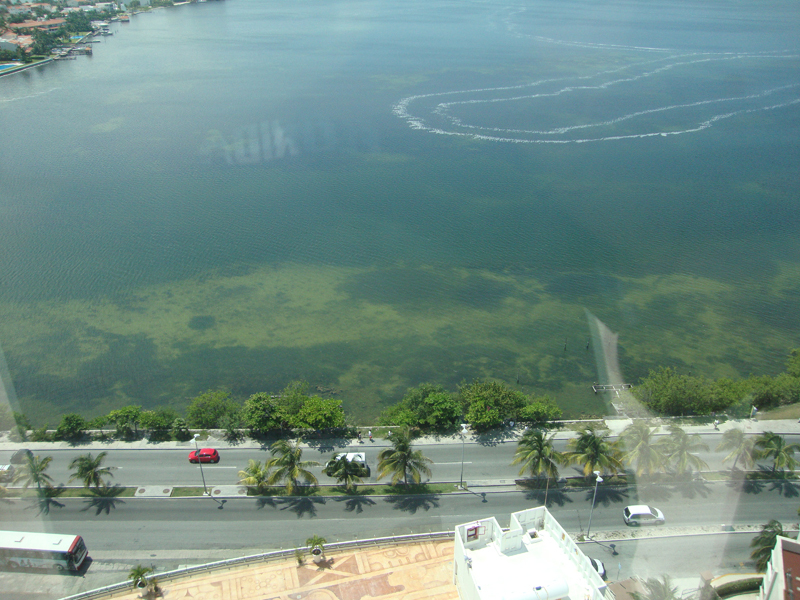 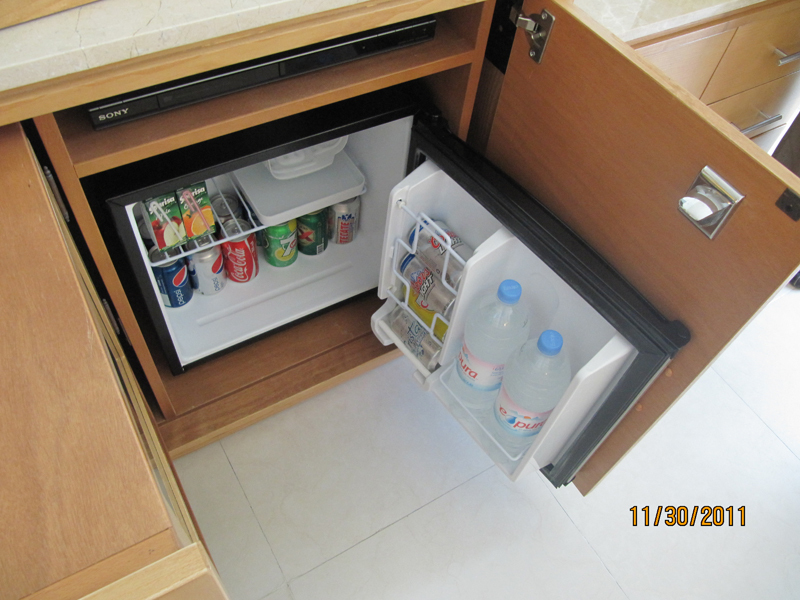 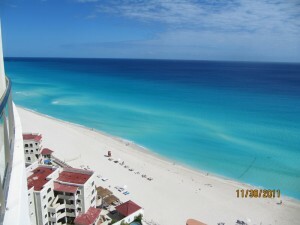 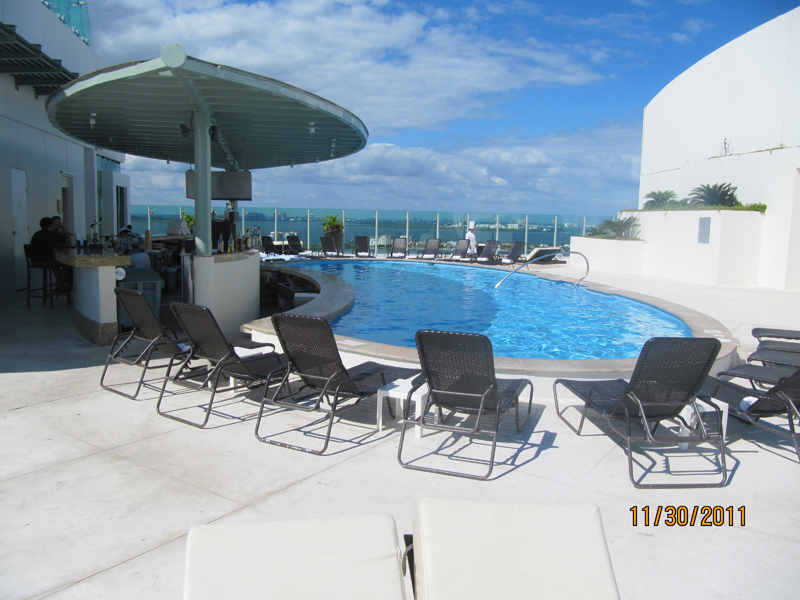 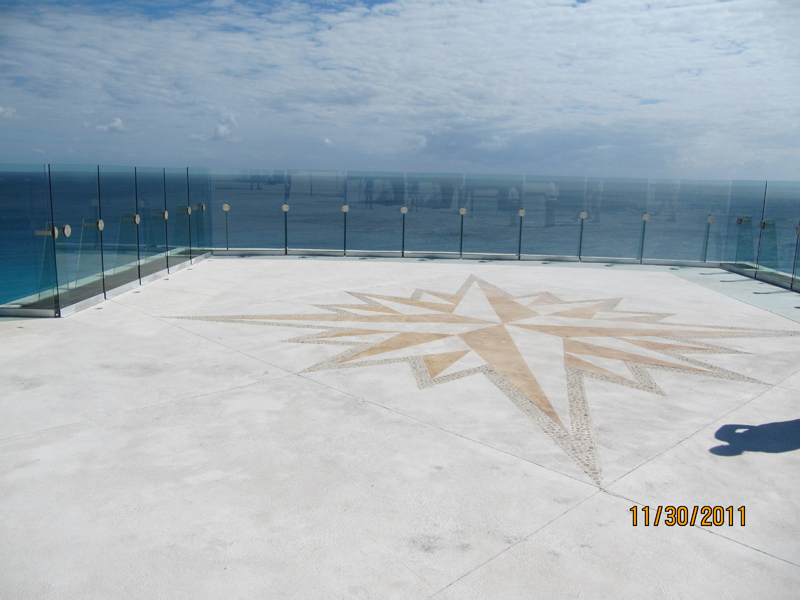 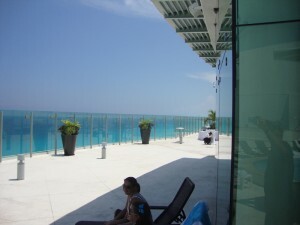 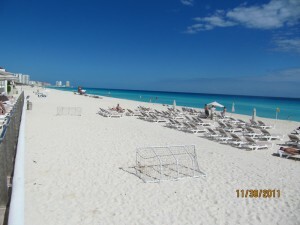 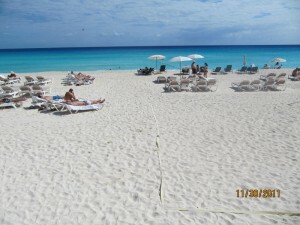 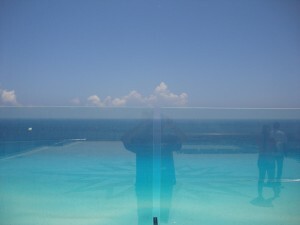 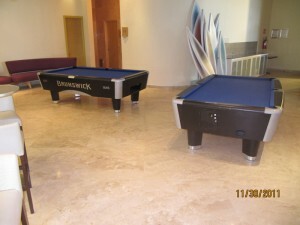 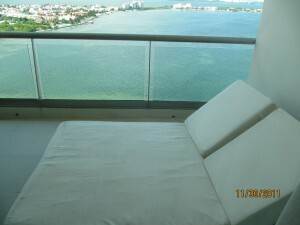 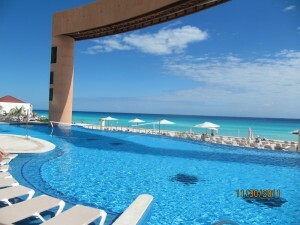 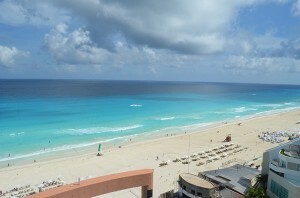 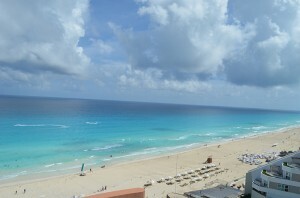 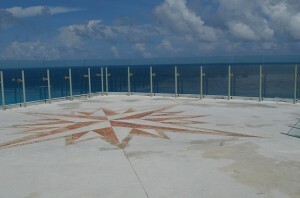 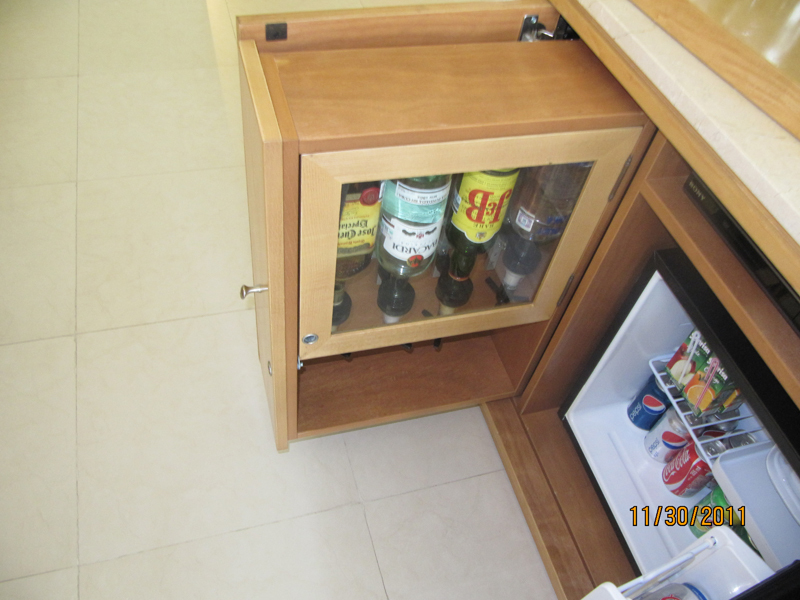 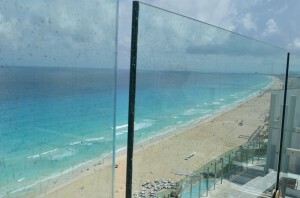 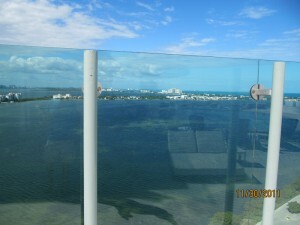 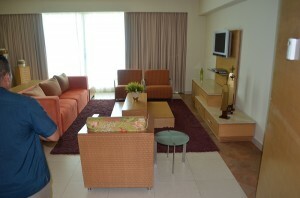 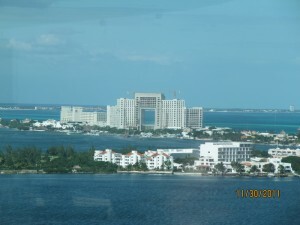 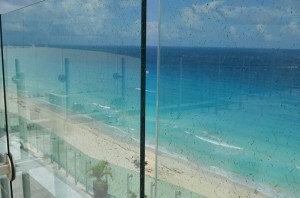 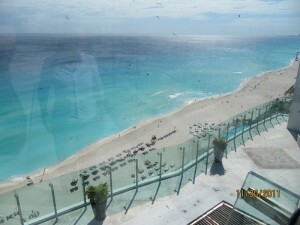 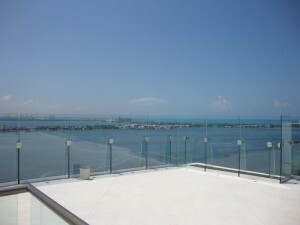 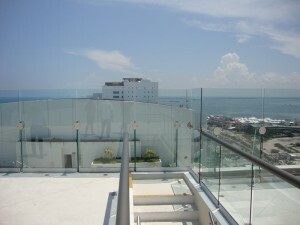 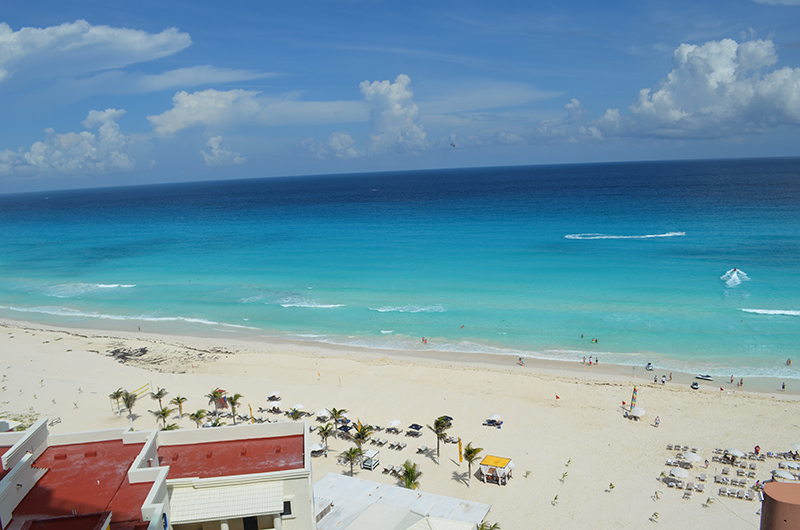 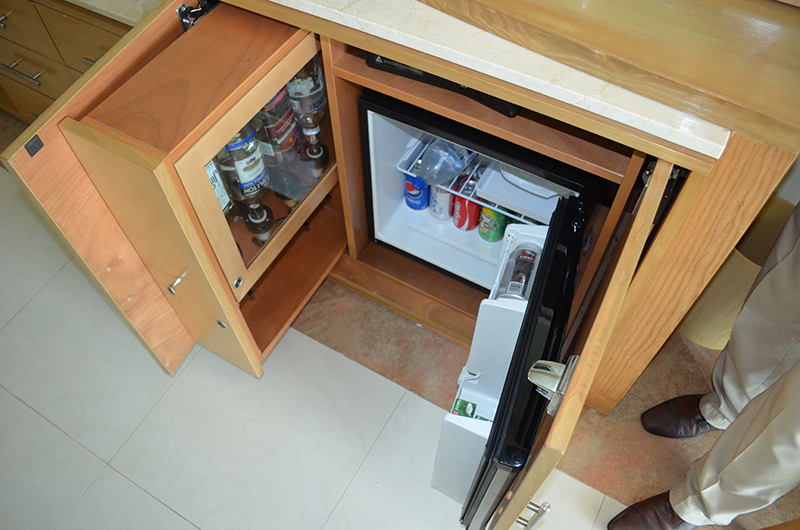 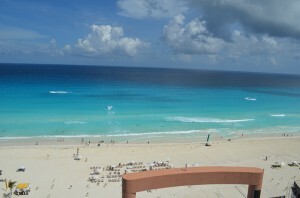 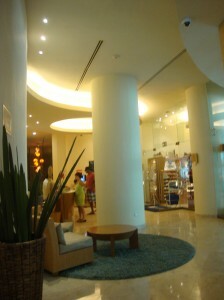 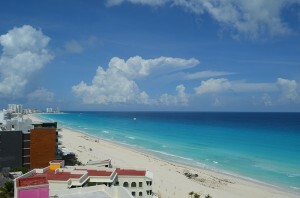 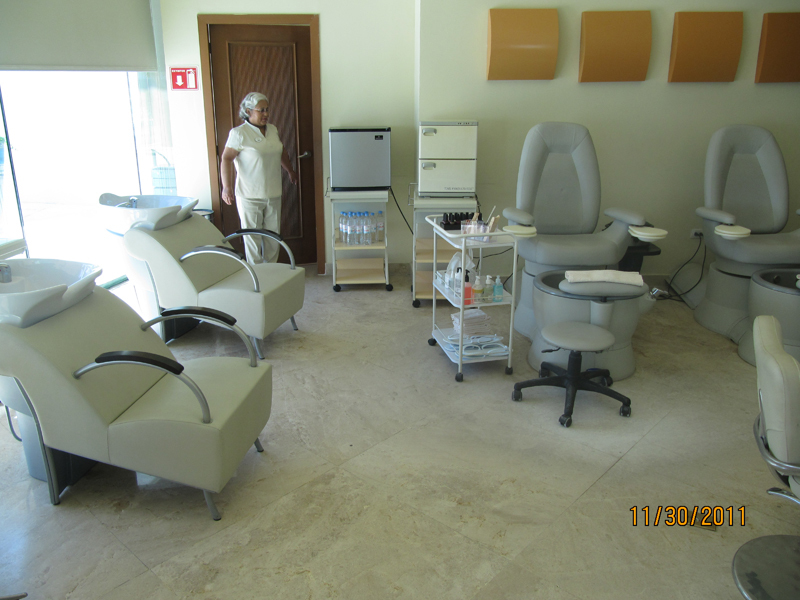 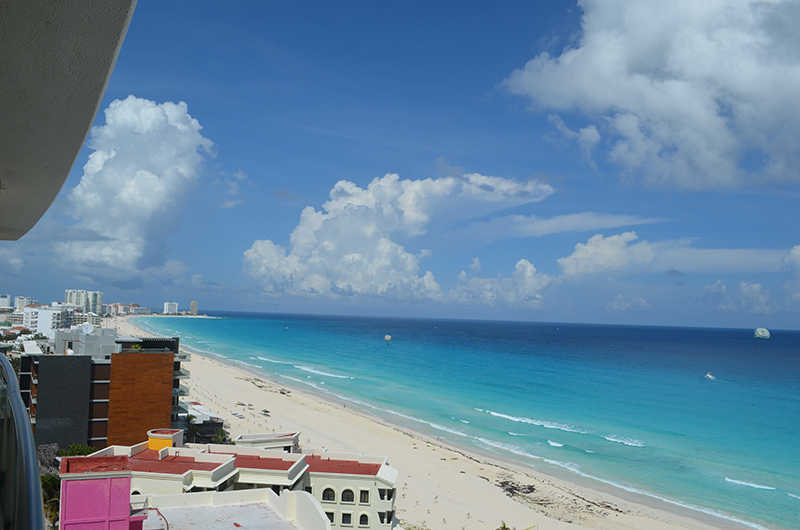 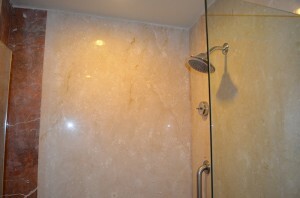 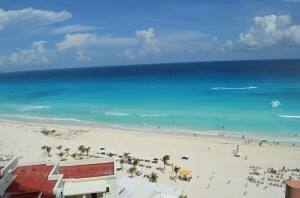 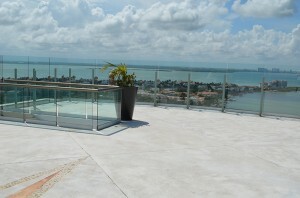 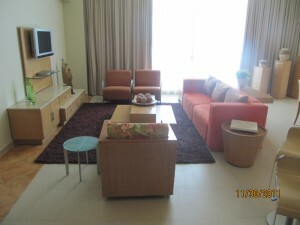 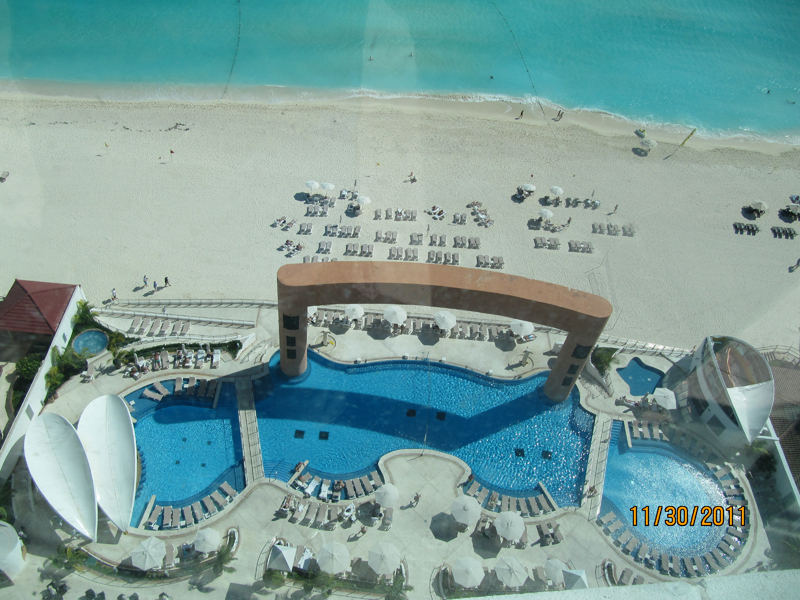 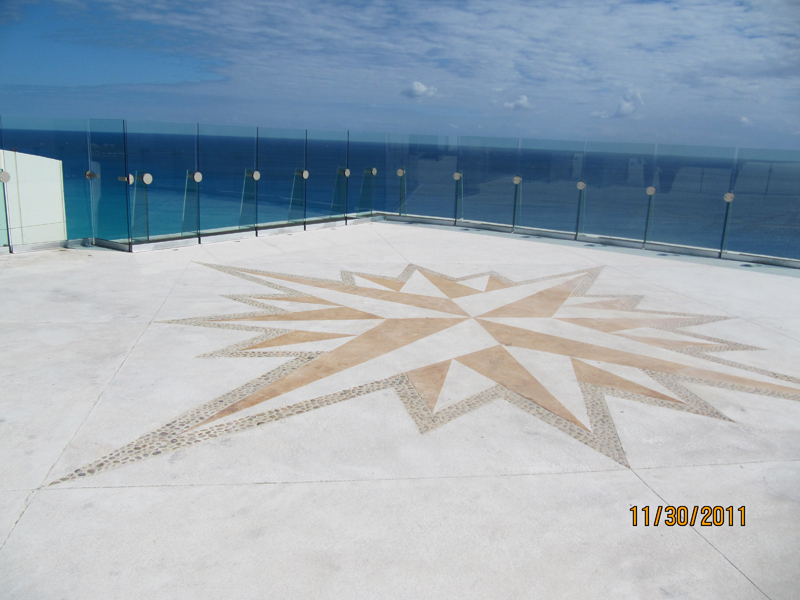 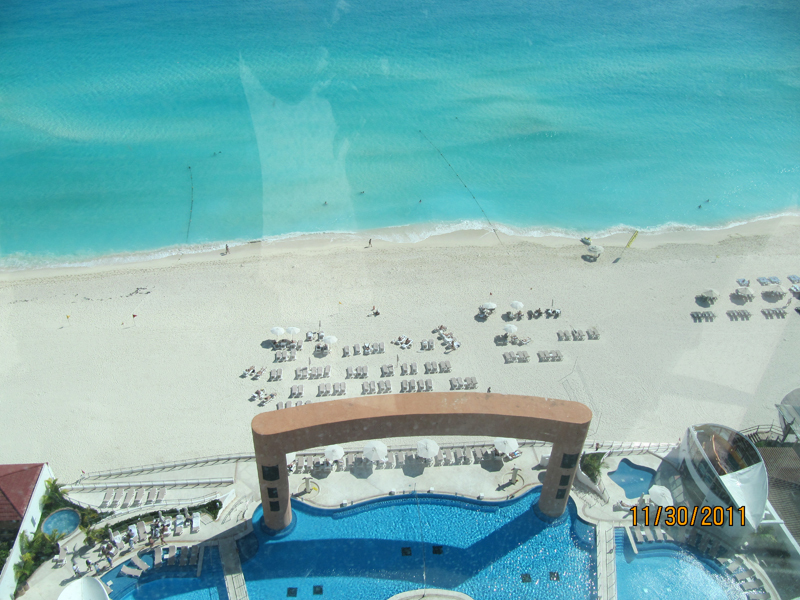 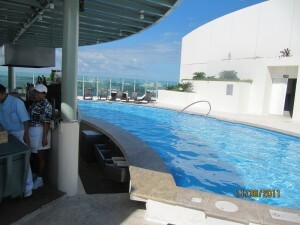 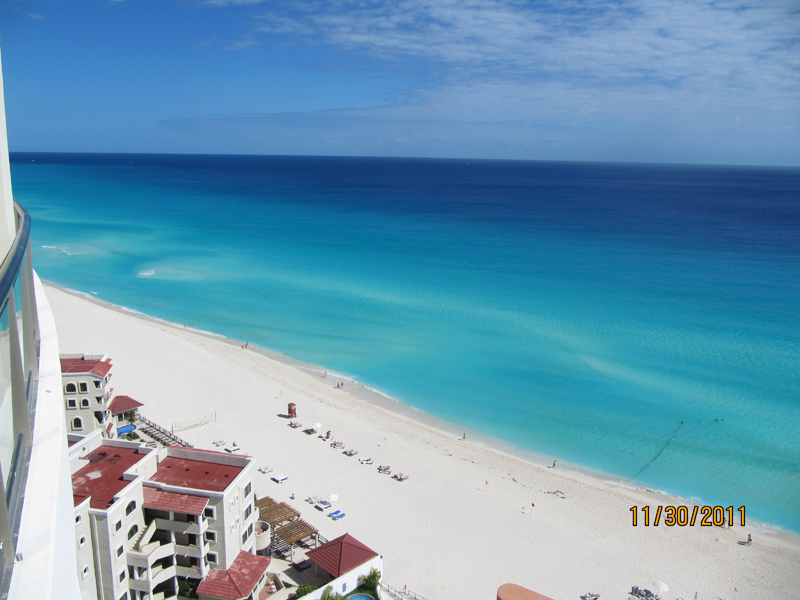 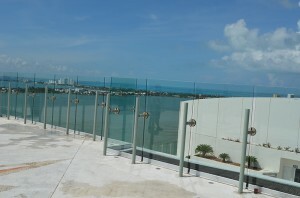 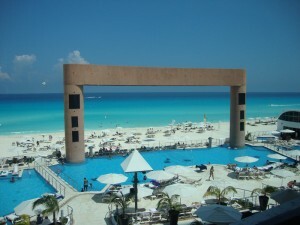 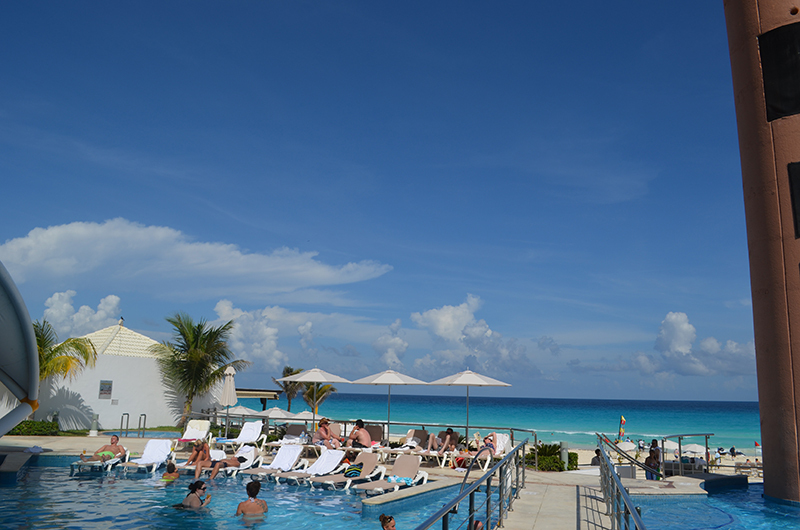 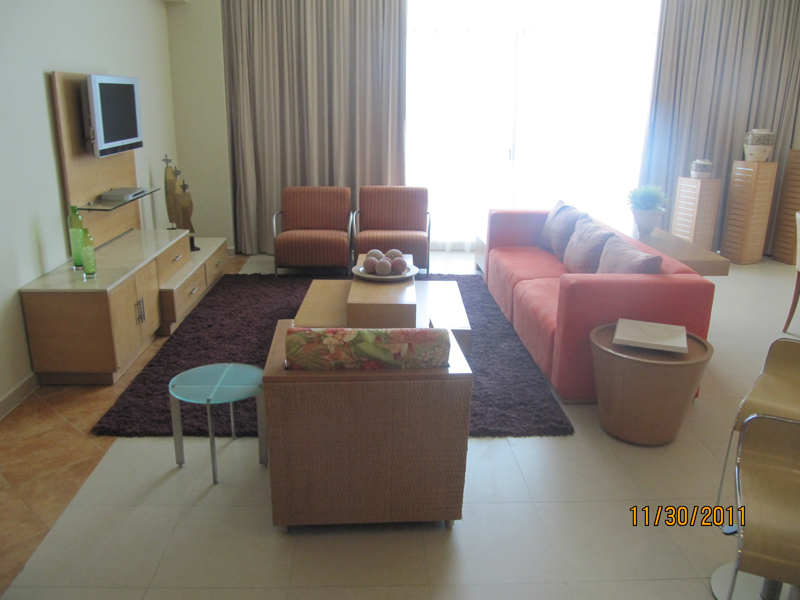 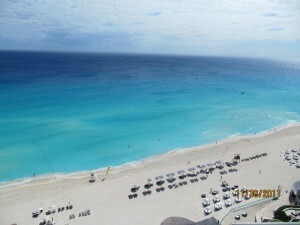 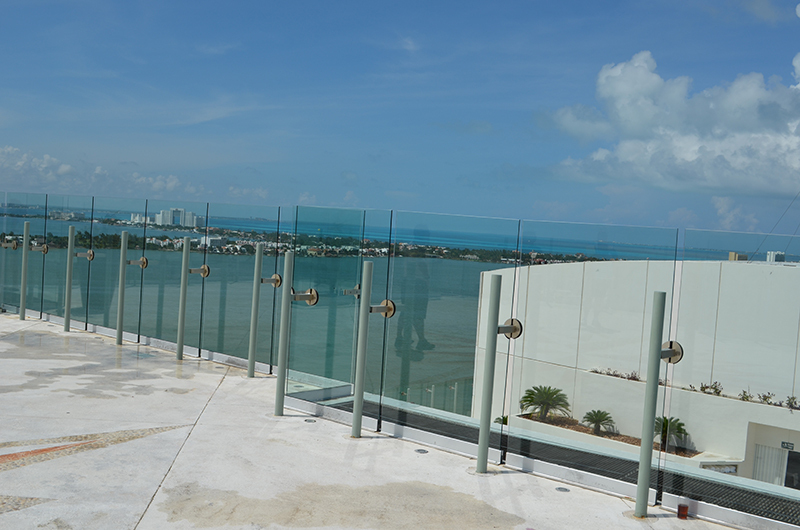 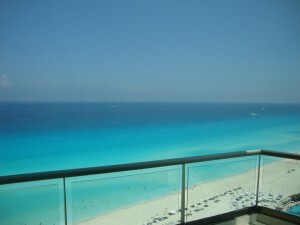 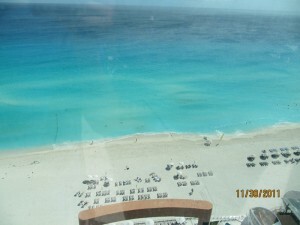 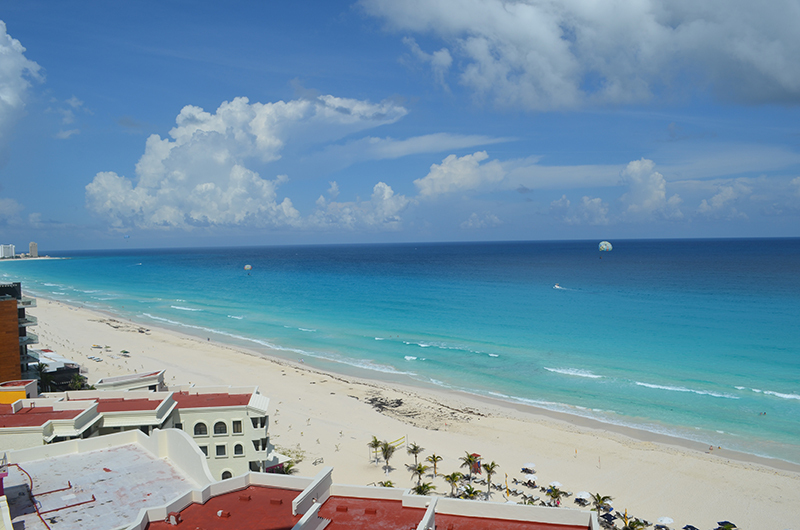 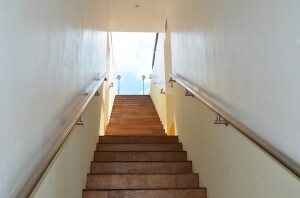 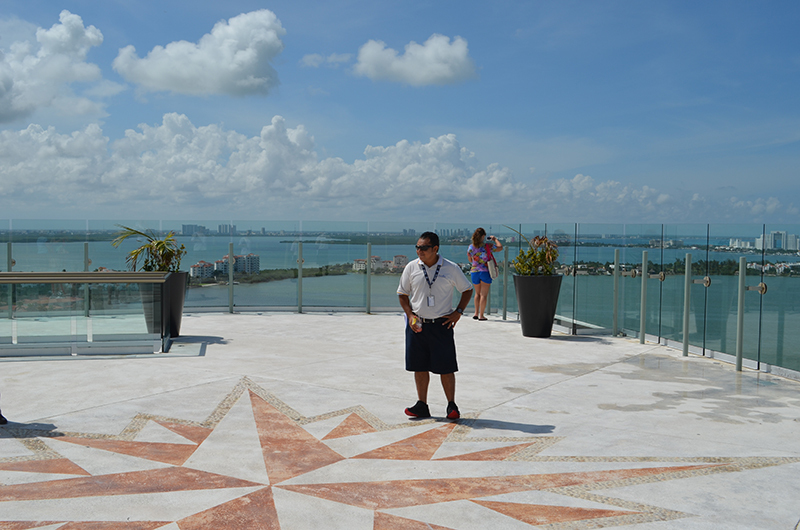 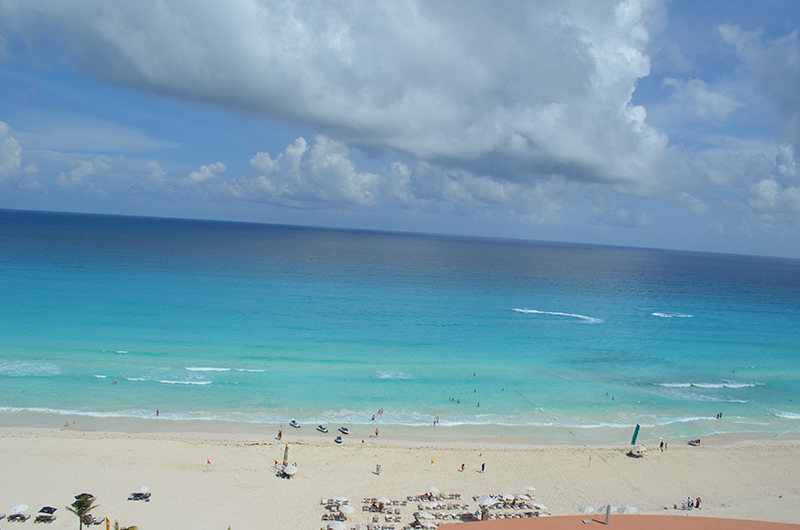 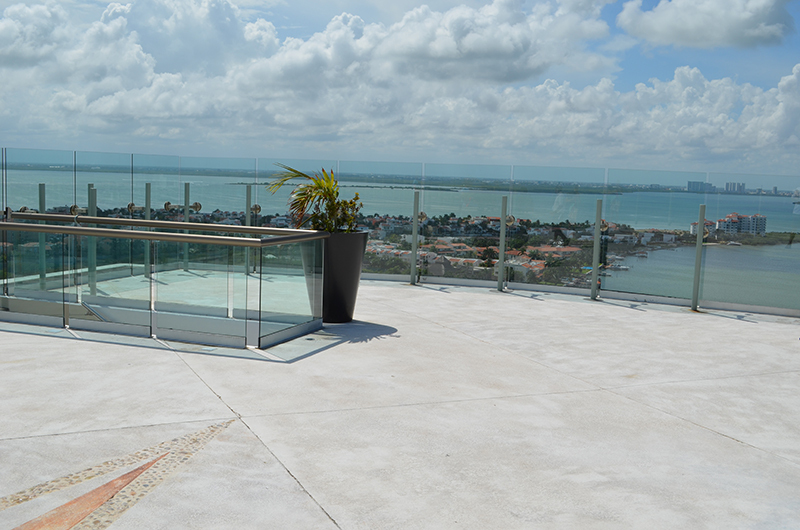 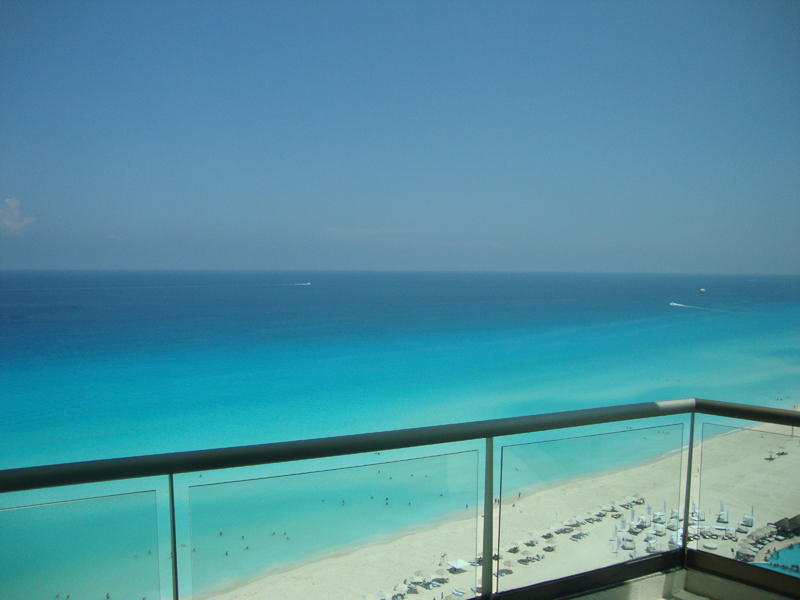 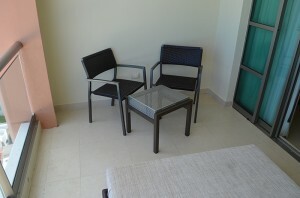 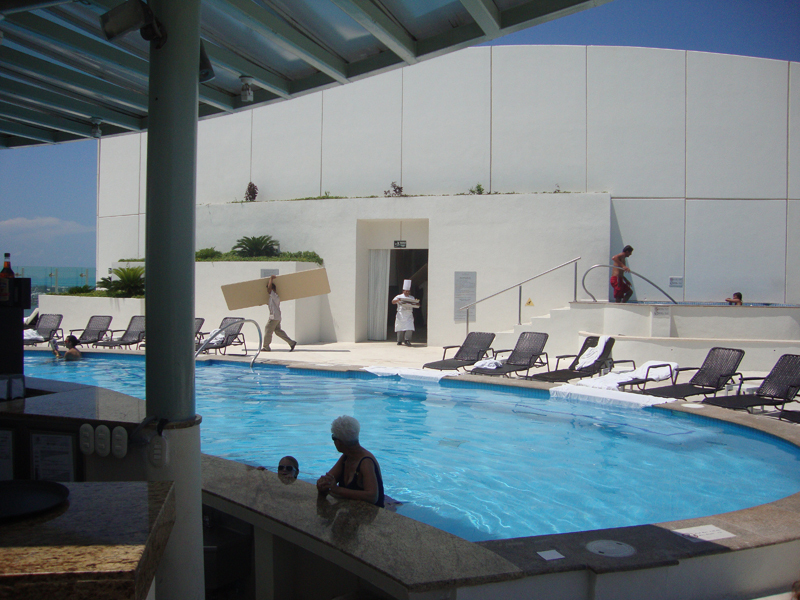 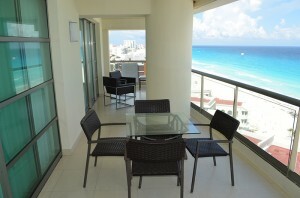 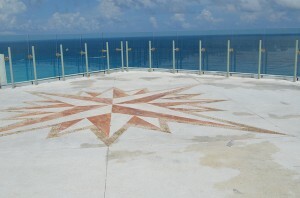 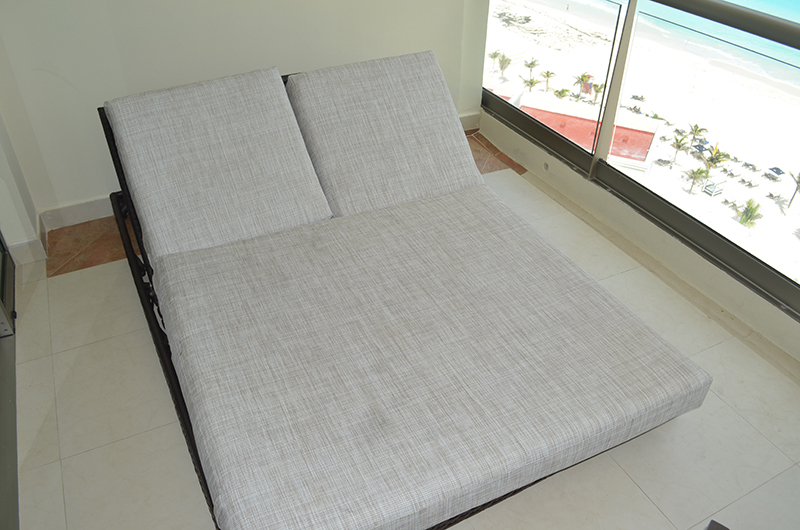 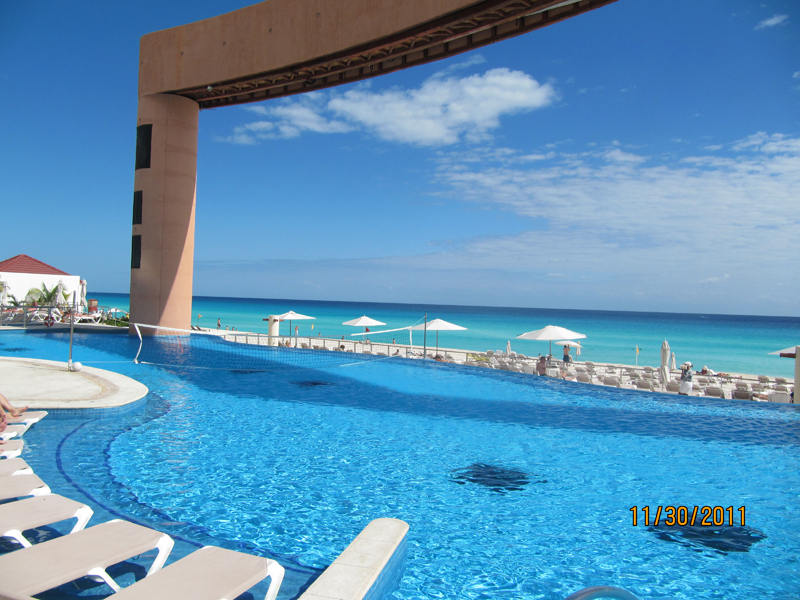 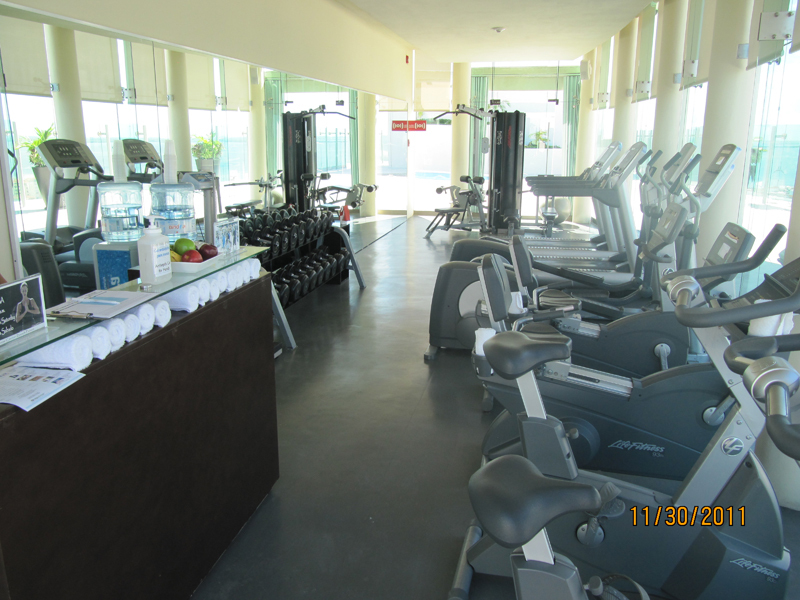 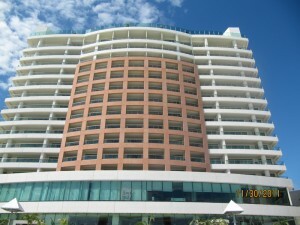 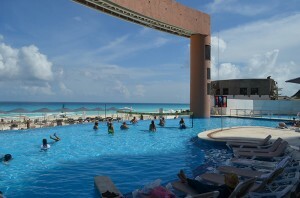 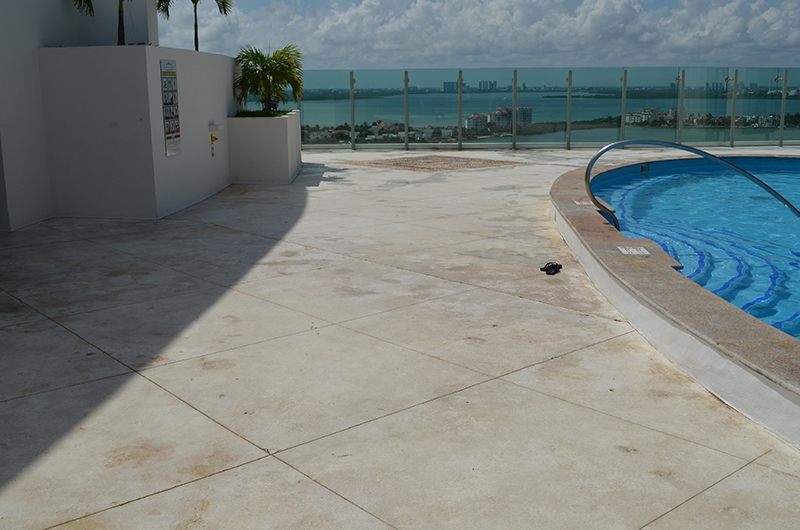 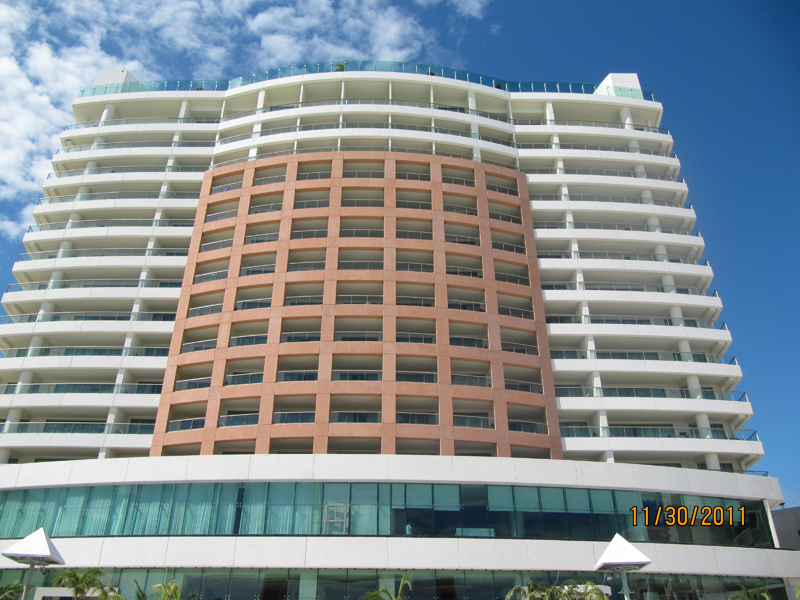 Best of all, its great location lets you enjoy all that Cancun has to offer. 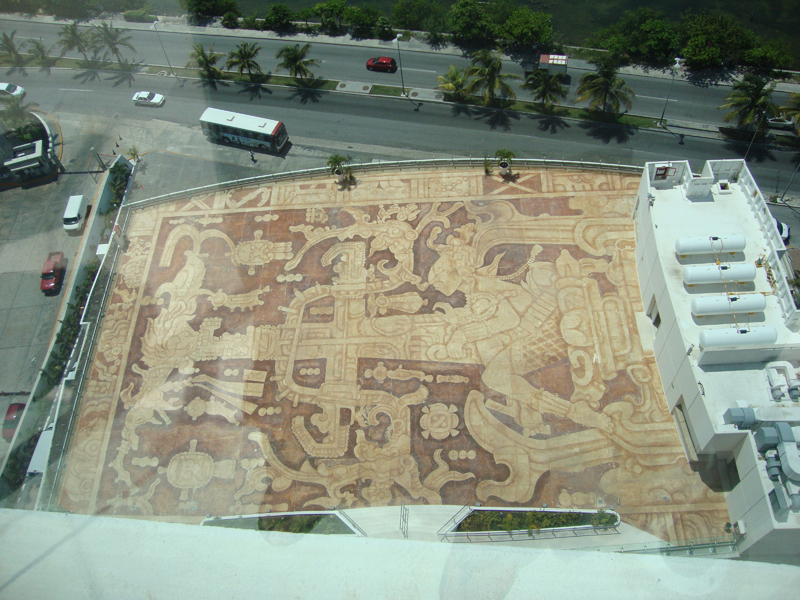 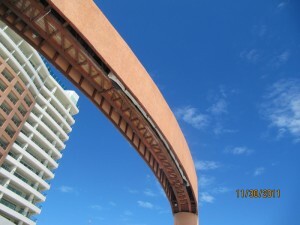 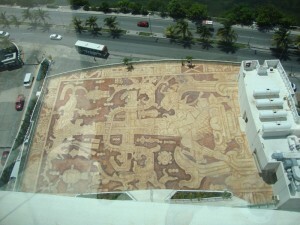 The Beach Palace is a family resort located in Cancun, further along the strip close to the La Isla Shopping Center. Because of its location, the target demographic for this resort would be families wanting to be in a quieter location, and be able to take advantage of the local shops and dining. 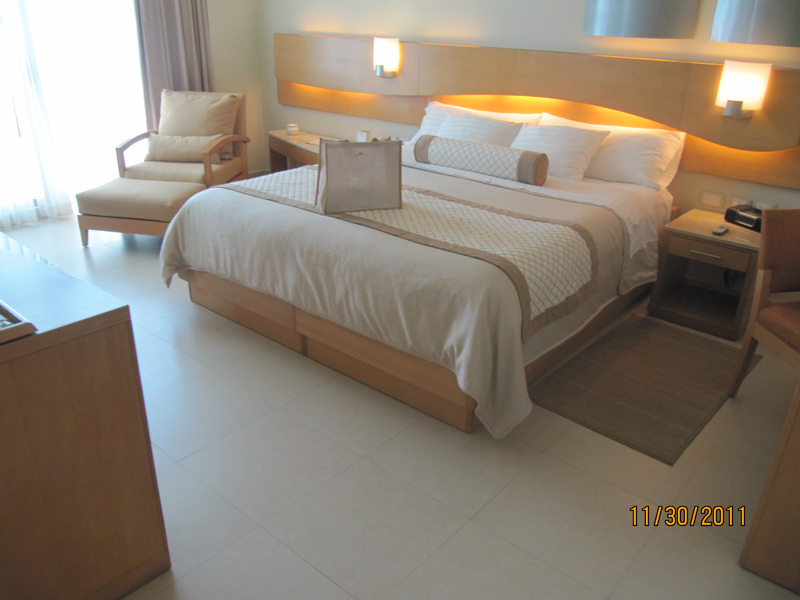 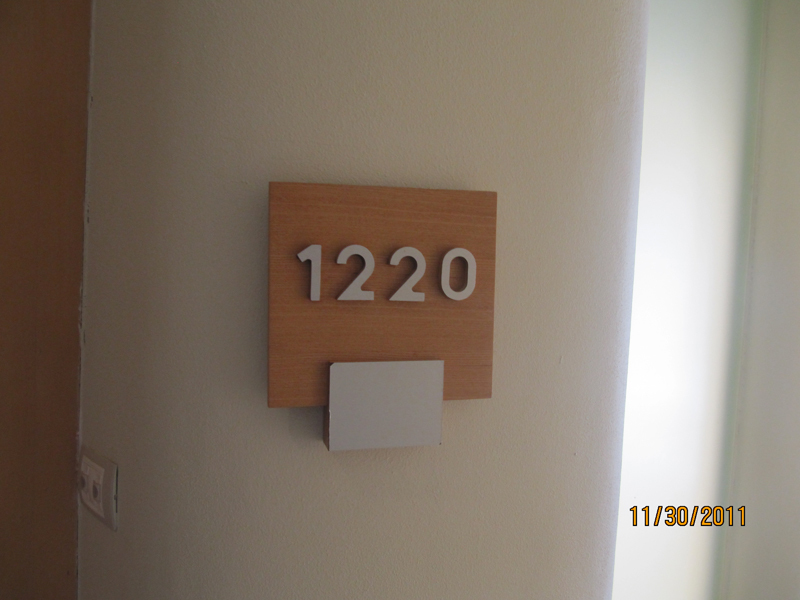 There are 287 rooms divided into five room categories: Deluxe, Superior Lagoon View (facing the back of the resort toward the lagoon) and Ocean View (front of the resort with a view of the Caribbean Sea), Family Deluxe Room, Concierge Ocean View, and the Presidential Suite. 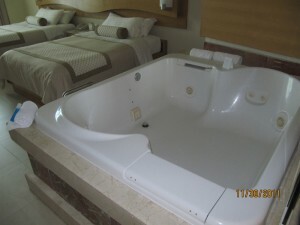 All rooms will have a double Jacuzzi, premium liquor in the room, fully stocked minibar with canned beer, juices, and soda, a furnished balcony, 24 hour room service, and are nice in size and décor. 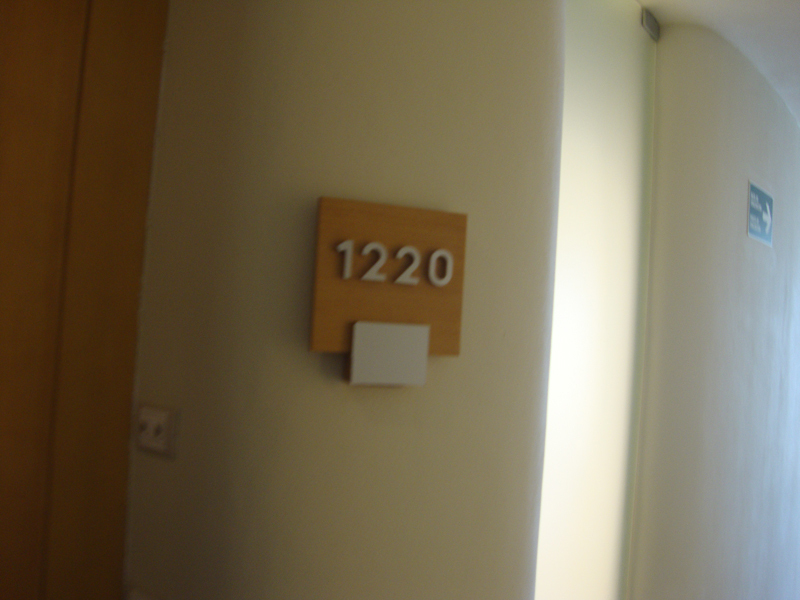 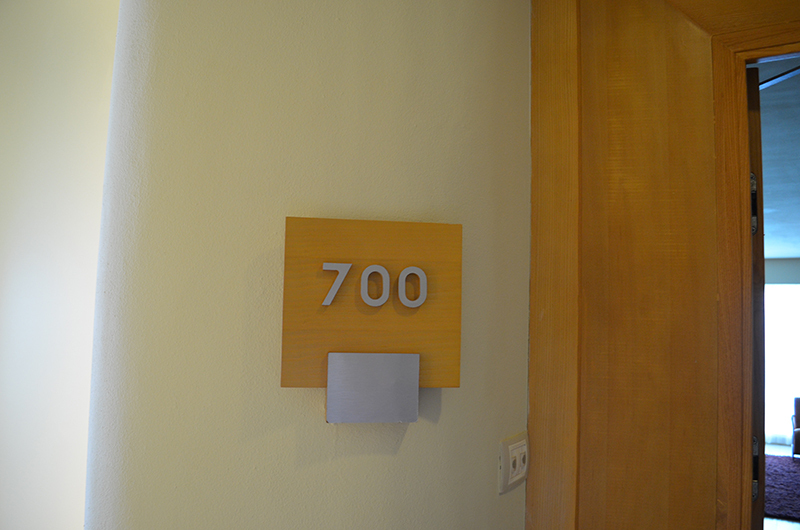 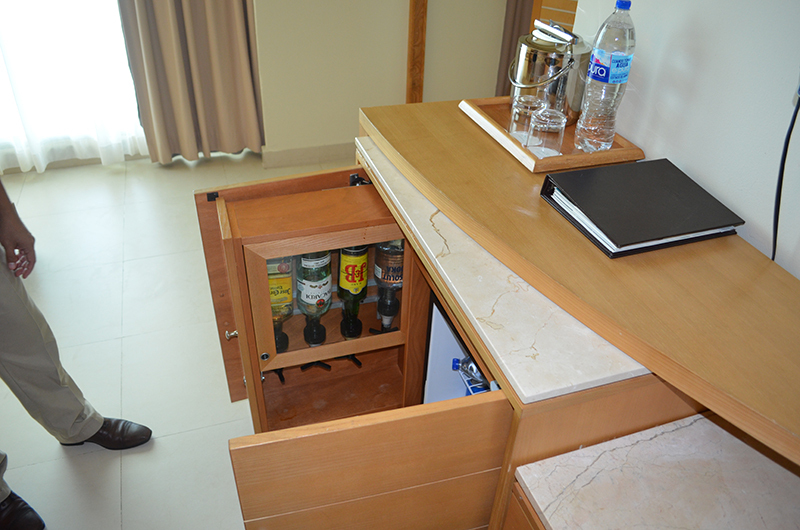 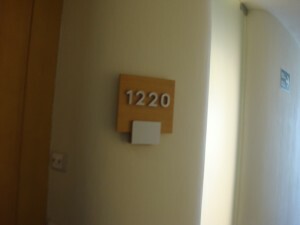 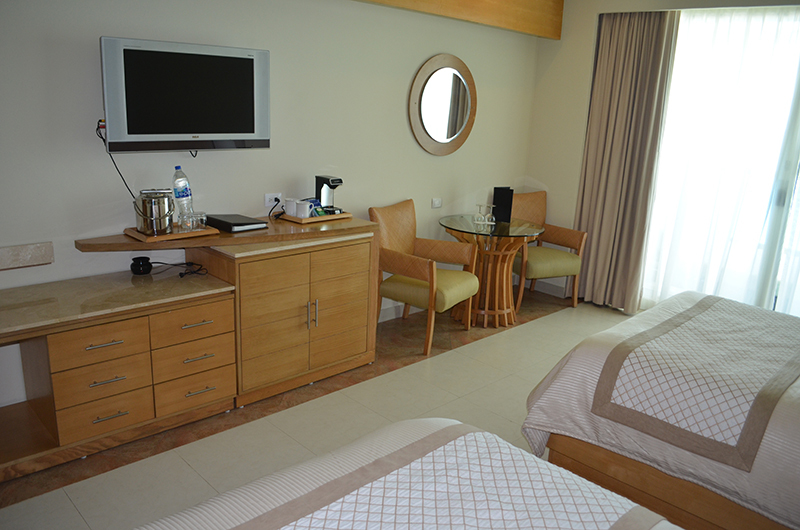 The main difference with the deluxe and superior rooms is the view. 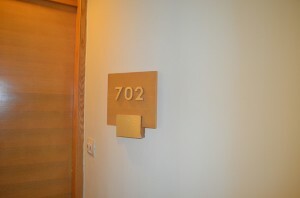 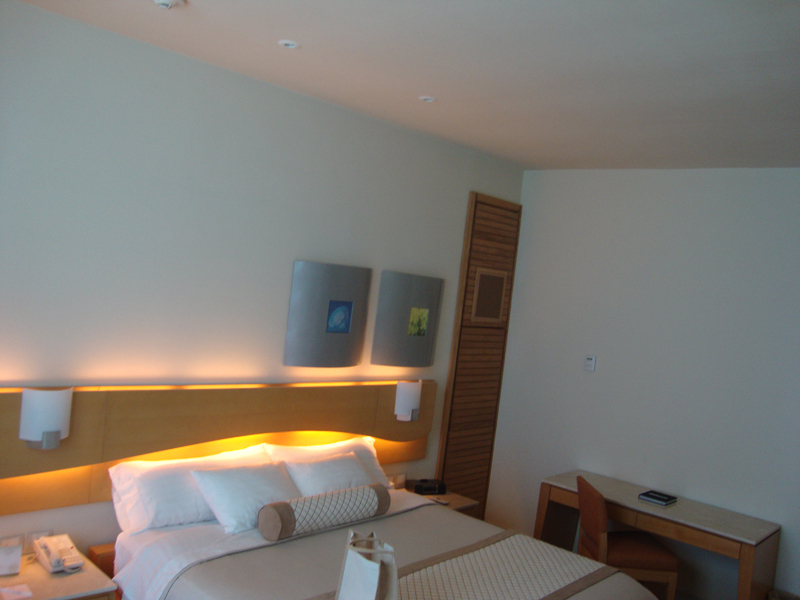 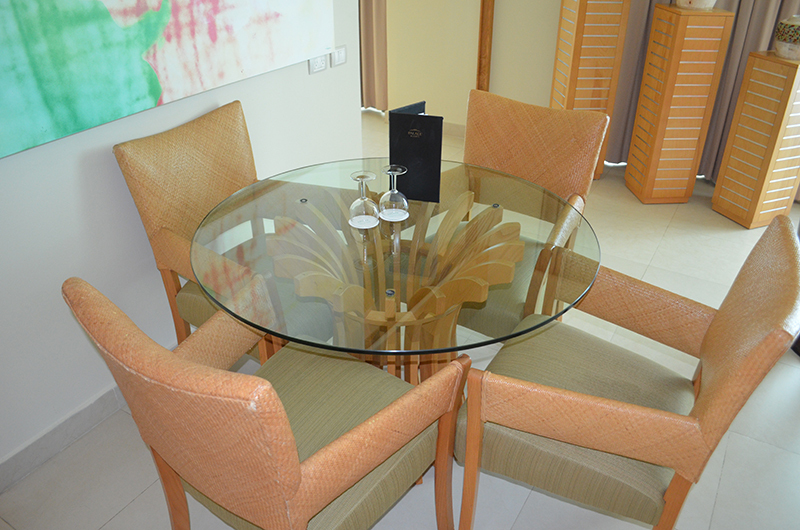 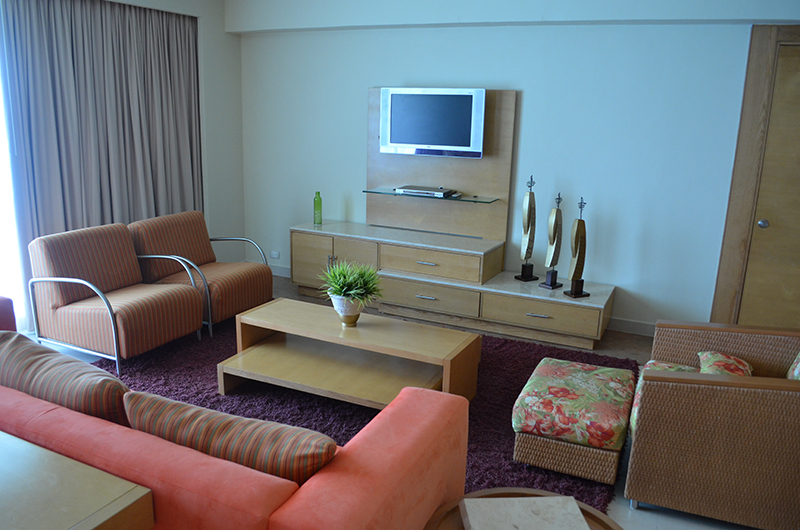 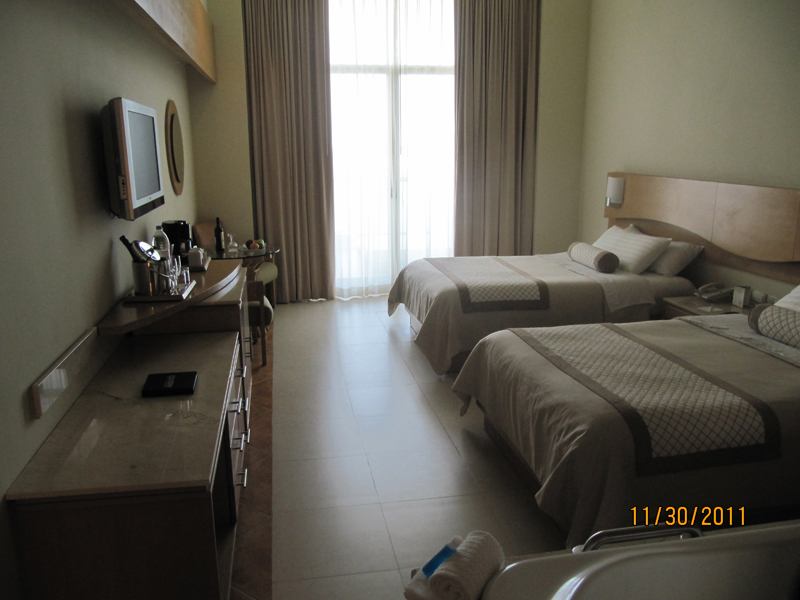 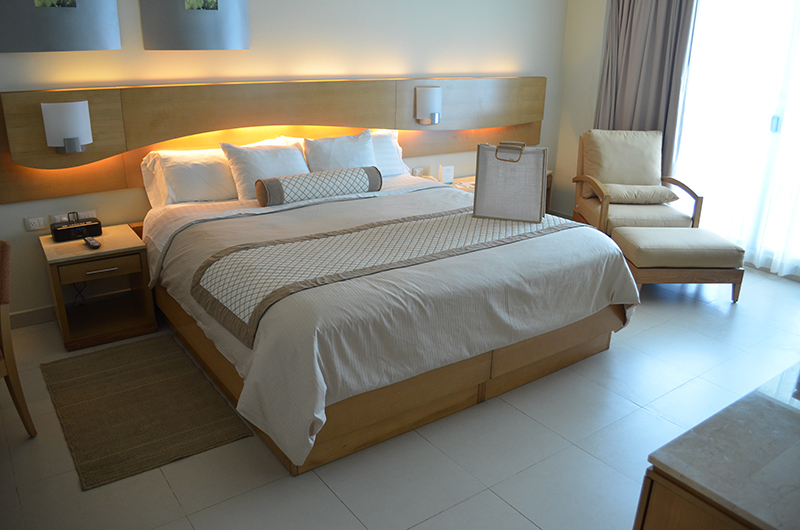 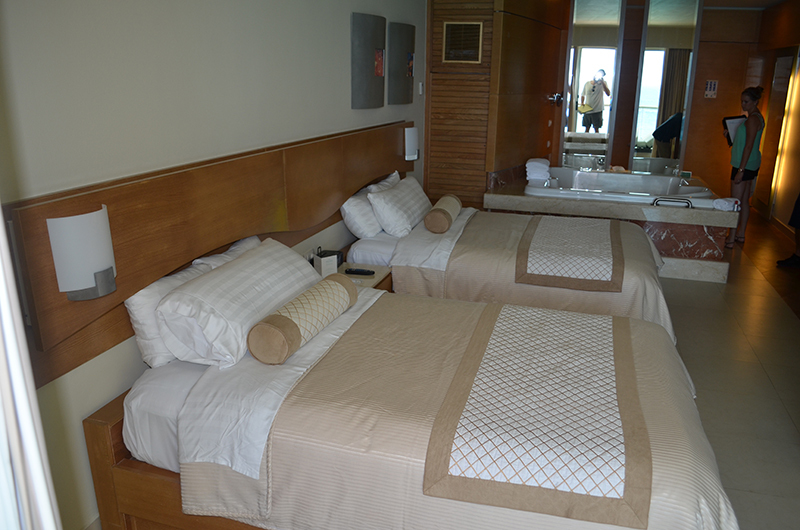 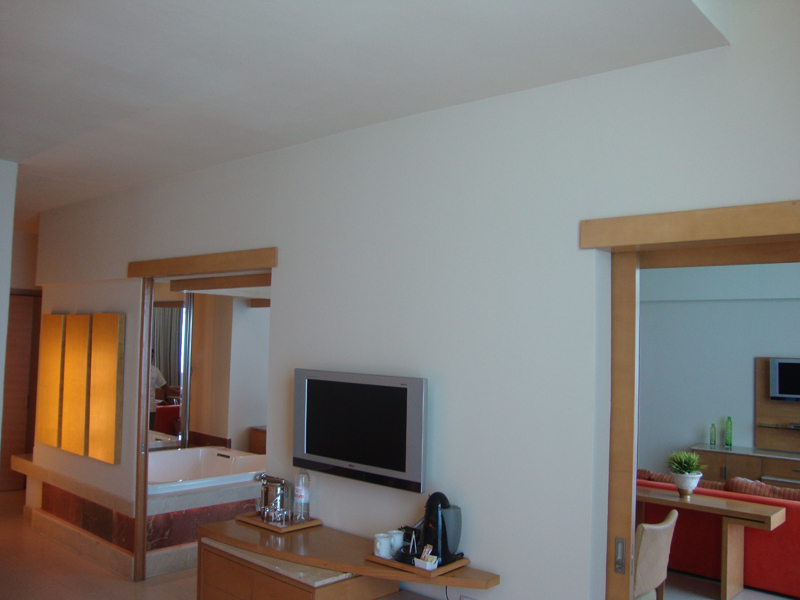 The Family Deluxe Room is 2 connecting lagoon view rooms with a king and 2 double beds, accommodating up to 5 guests. 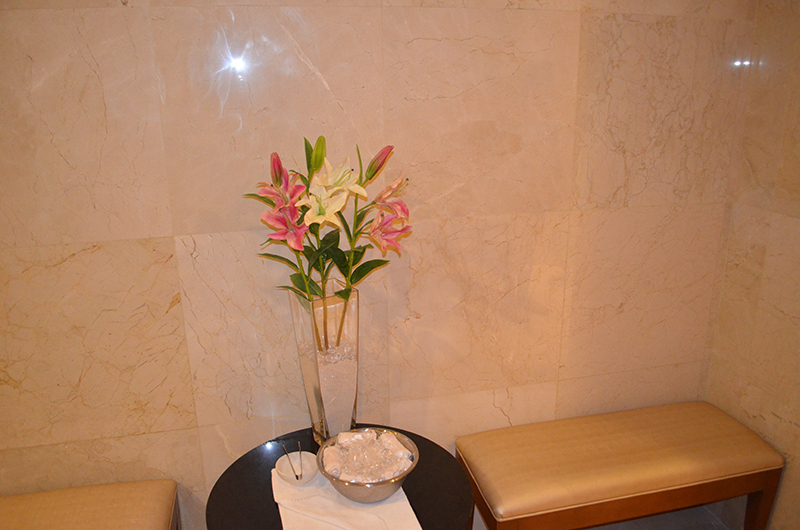 The Concierge Rooms offer a private check in/out, two 25 minute massages, aromatherapy menu in the room, and a bit more personalized service. 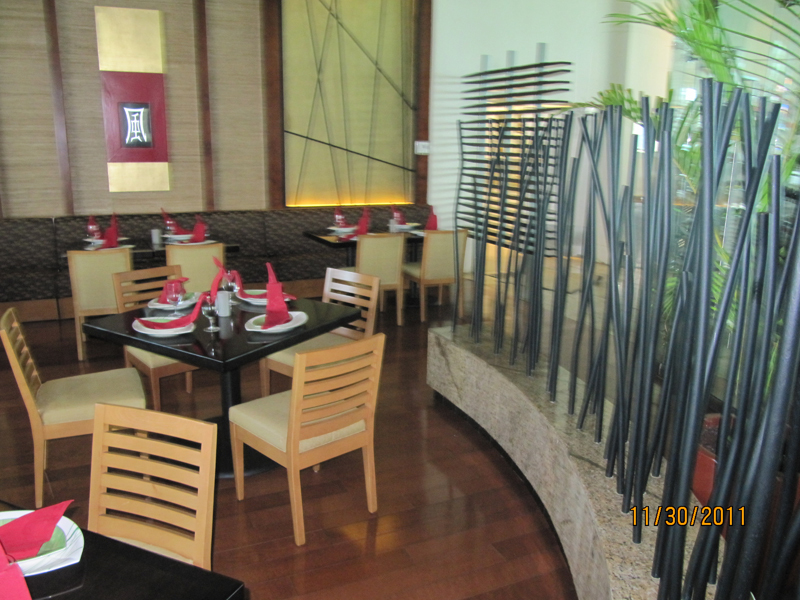 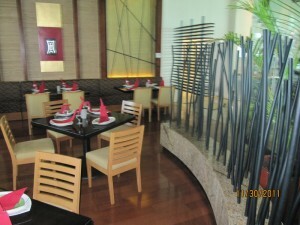 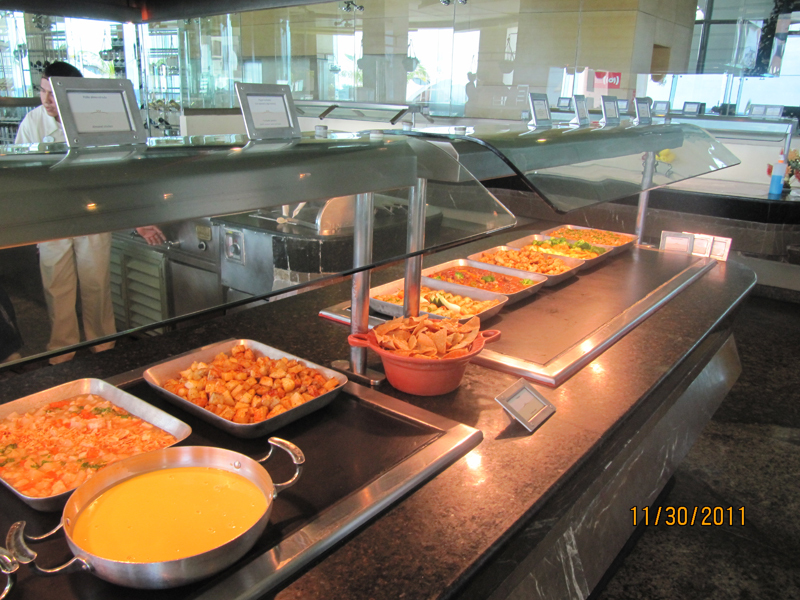 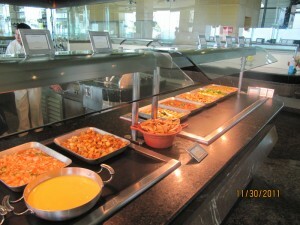 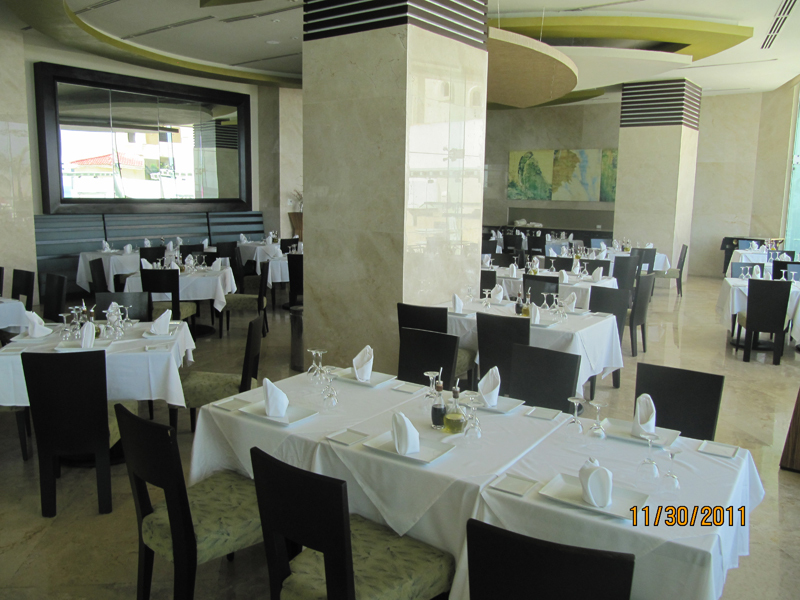 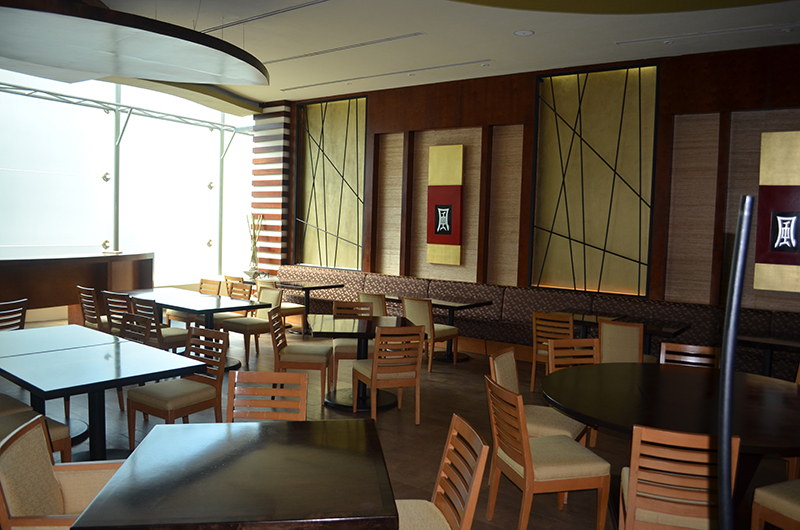 Since it is a smaller resort, there are only four restaurants all with no dining restrictions or reservations. 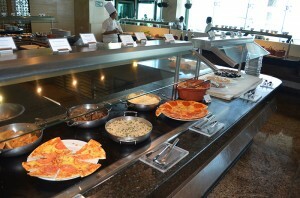 (Mexican, Italian, Asian, and International Buffet). 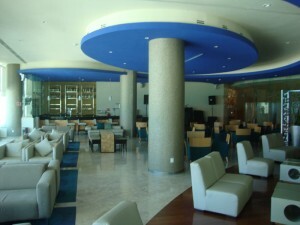 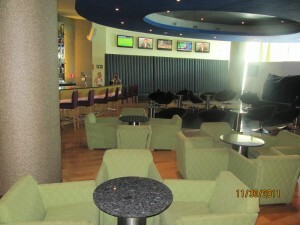 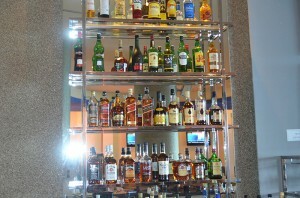 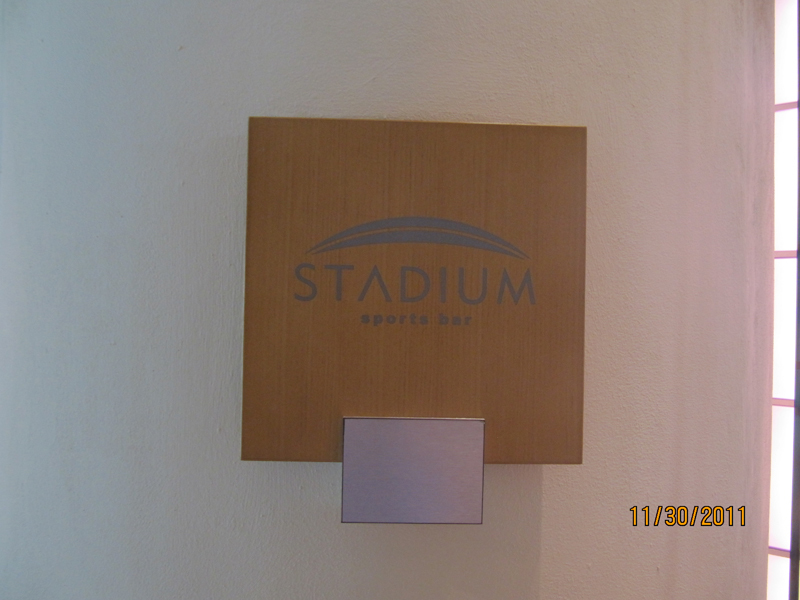 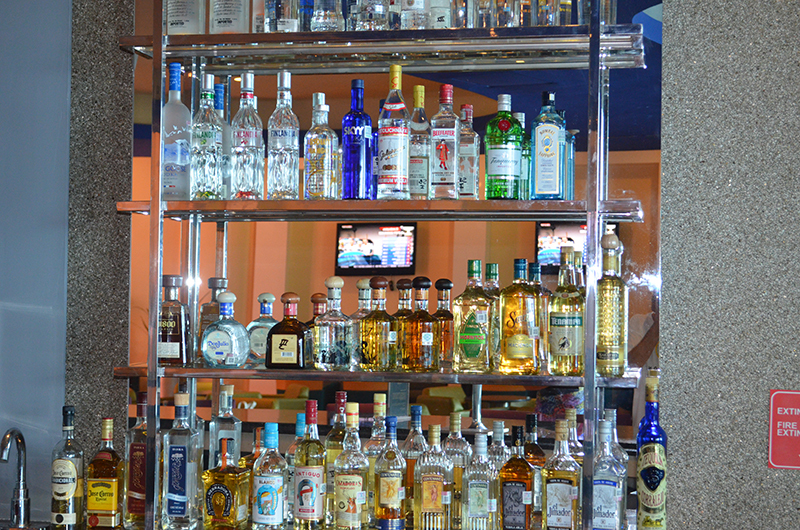 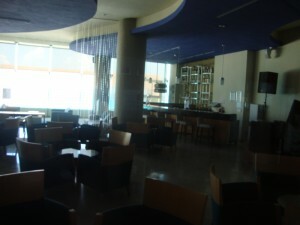 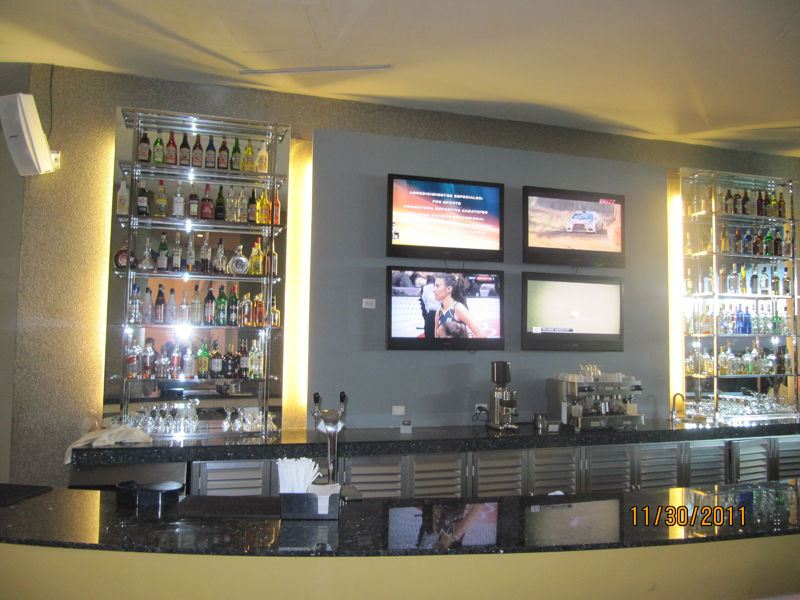 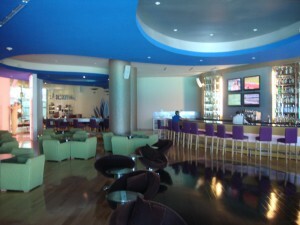 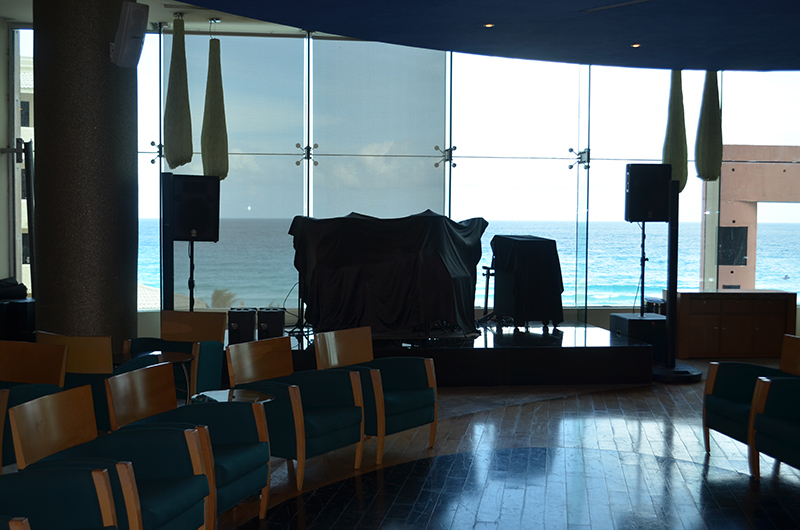 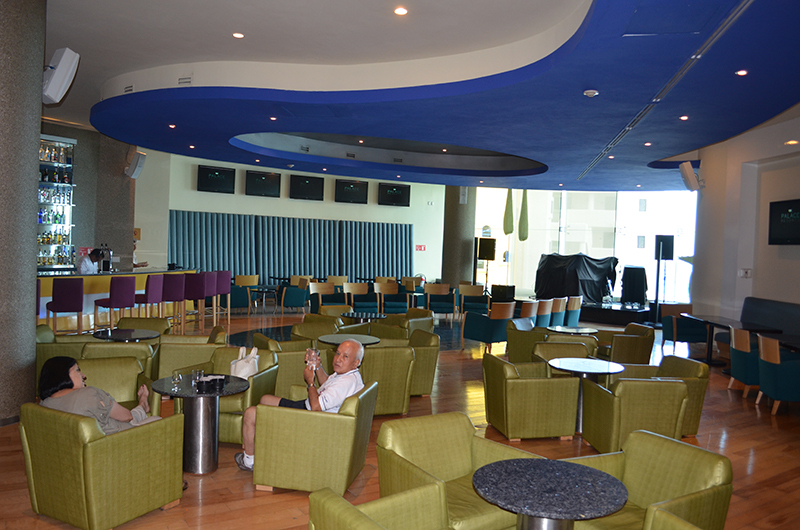 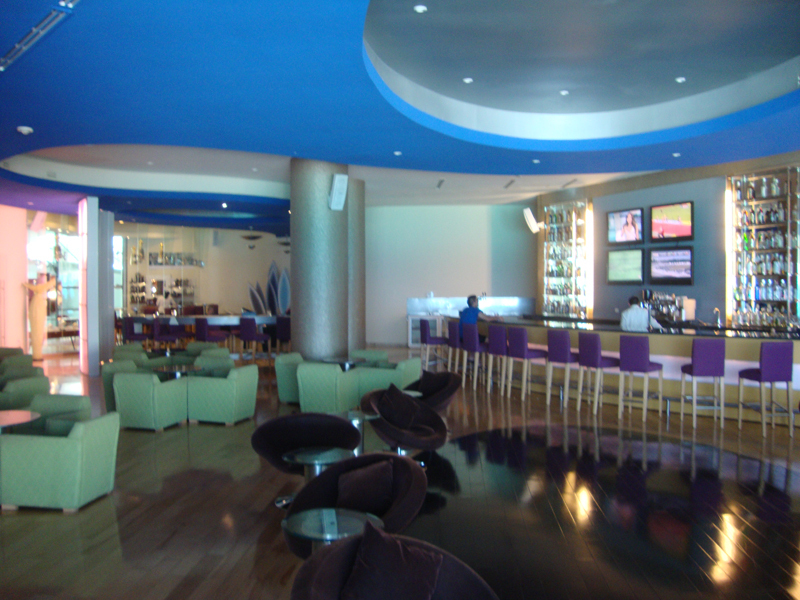 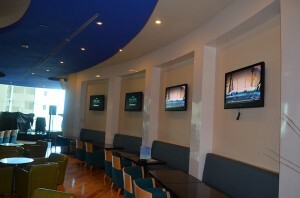 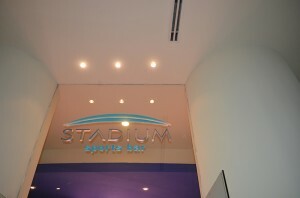 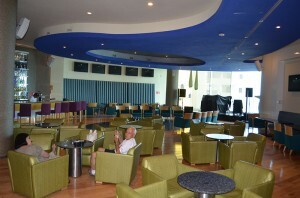 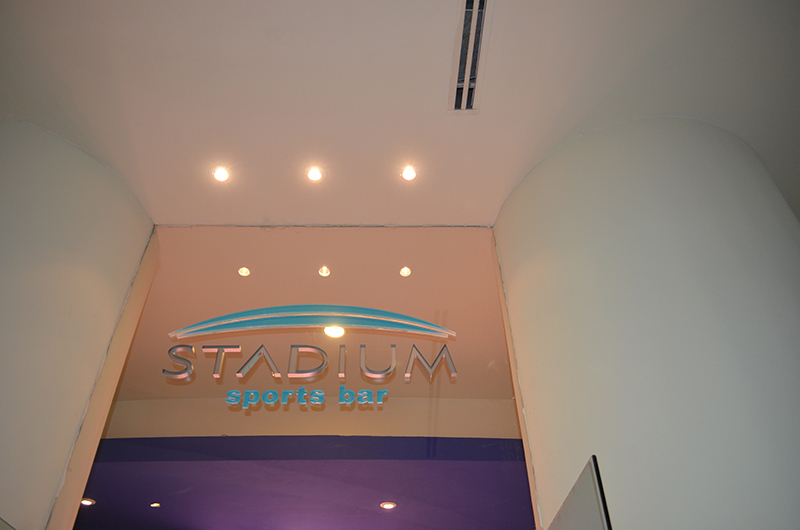 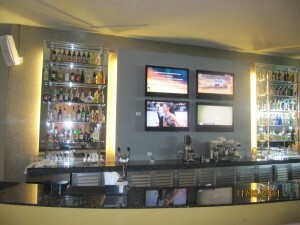 There are also four very unique bars: a large sports bars with plasma TVS and larger selection of beers, a large bar located on a rooftop terrace with stunning views of the ocean and the city, a pool and snack bar, and the lobby bar. 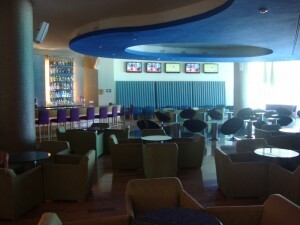 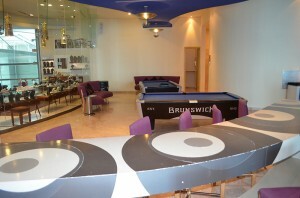 For the younger travelers, there is a Kids Club for ages 4-12, and a Teen Club for ages 13-17 with video games and movies. The resort also offers complimentary phone calls to the United States and a resort credit ($750 for 3 nights, $1500 for 7 nights). 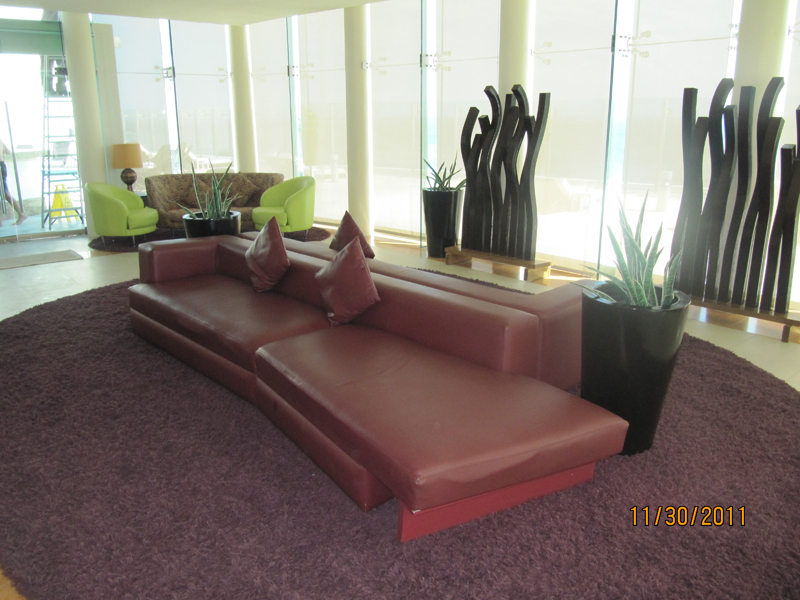 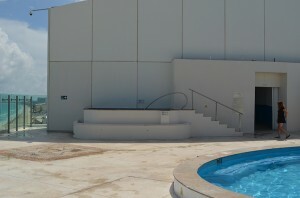 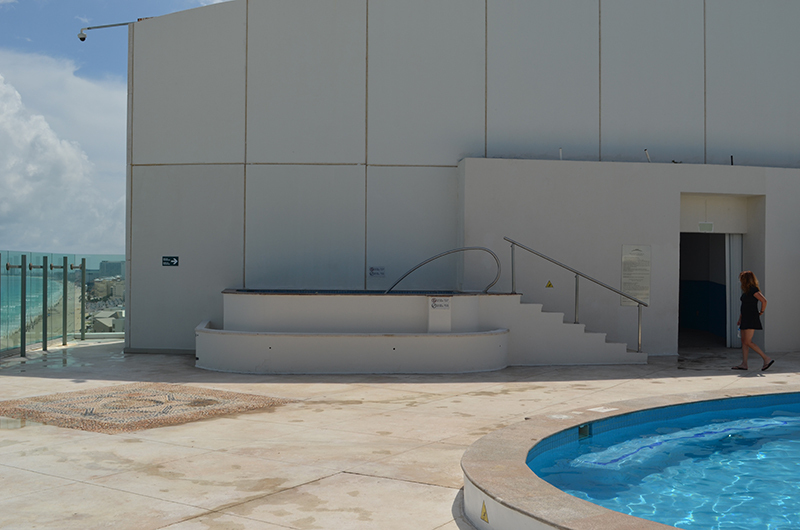 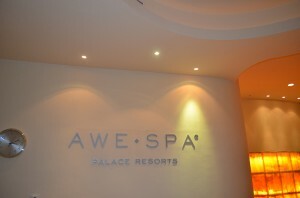 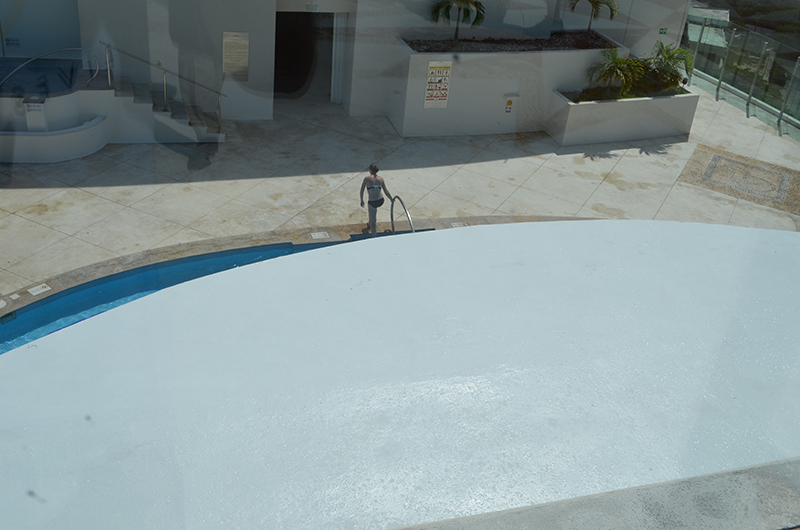 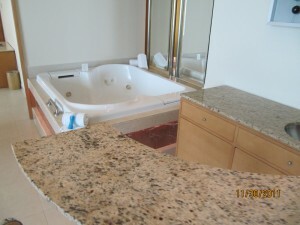 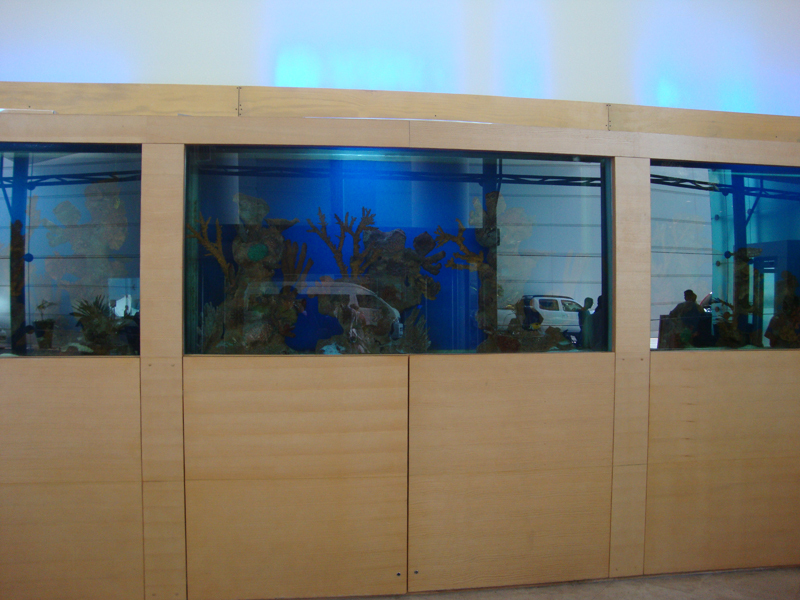 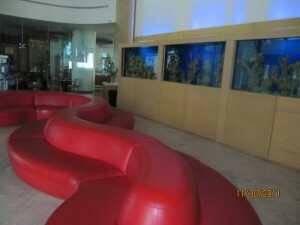 The resort credit can be used for golf, tours, swim with the dolphins, upgraded wine, and a limited amount in the spa. 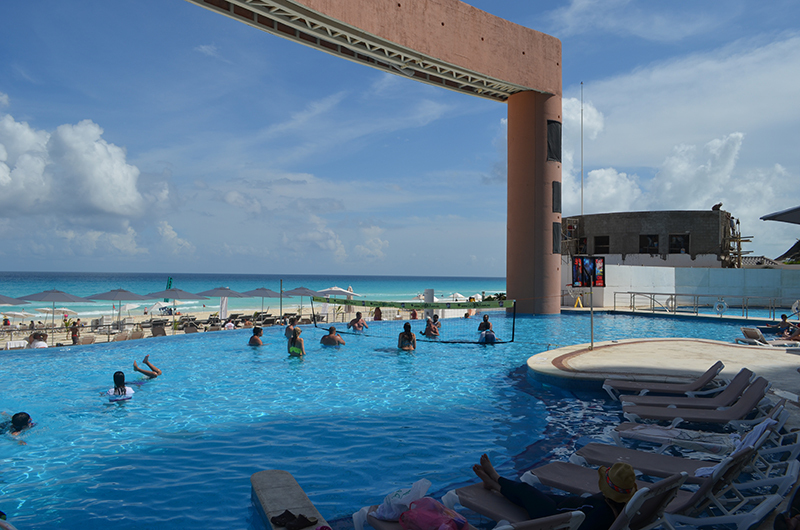 There is a Mexican government tax of 11% on all services used with the resort credit. 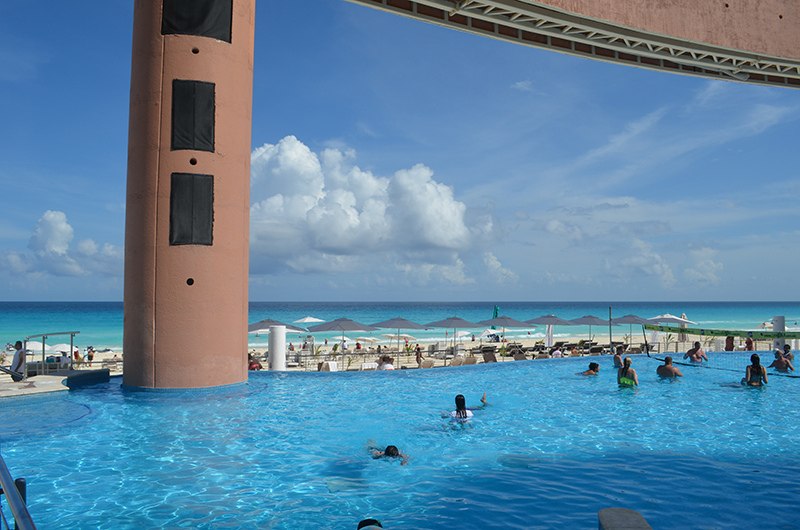 Overall I really liked the resort, especially for families with younger children that don’t necessarily want to be in the same resort with a lot of teenagers or spring breakers. 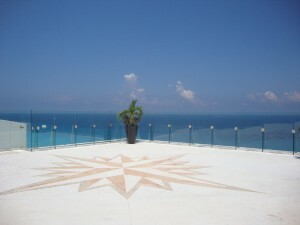 I would also recommend this for destination weddings, because of the location, the beautiful beach, and the unique venues that they offer for events.